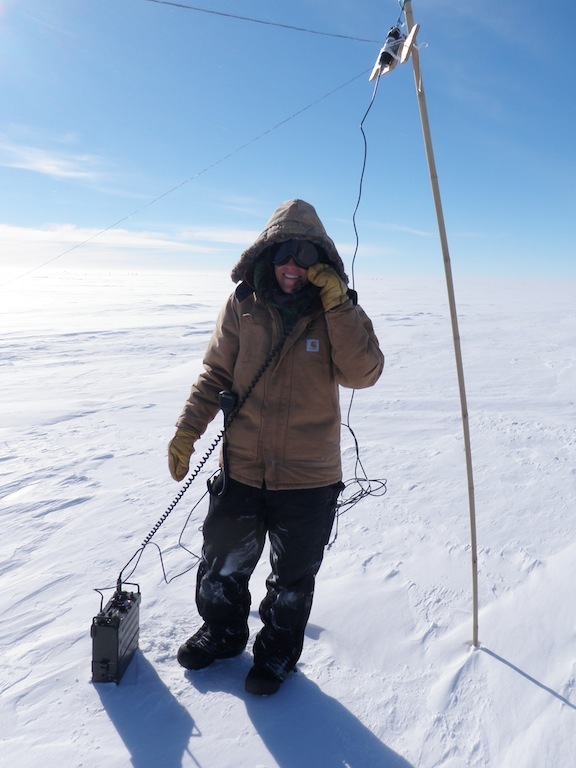 I’ll be out of contact for the next few months as we work in the field, but here are some interesting links. Below is a satellite picture of the PIG camp area from last March. 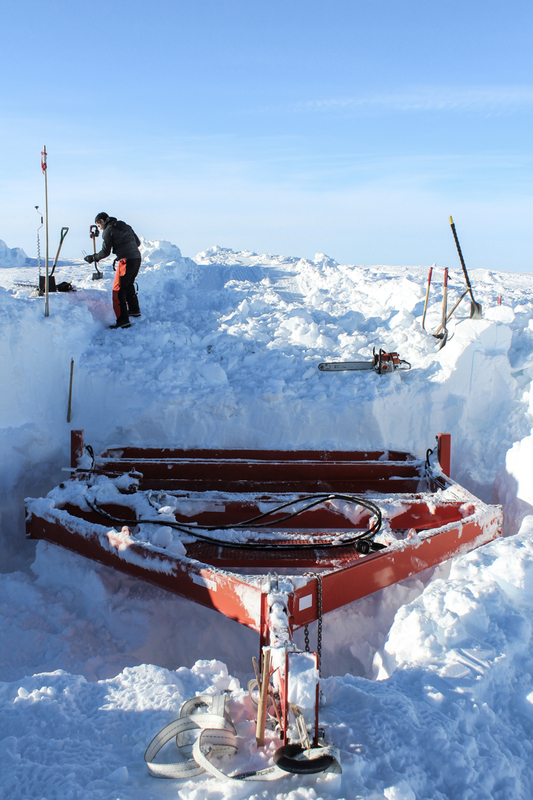 A British Antarctic Survey group passed through recently to check on a fuel cache nearby and reported that while there was large and hard sastrugi there was also a lot of scouring and the bermed material was visible above the snow – good news for us! 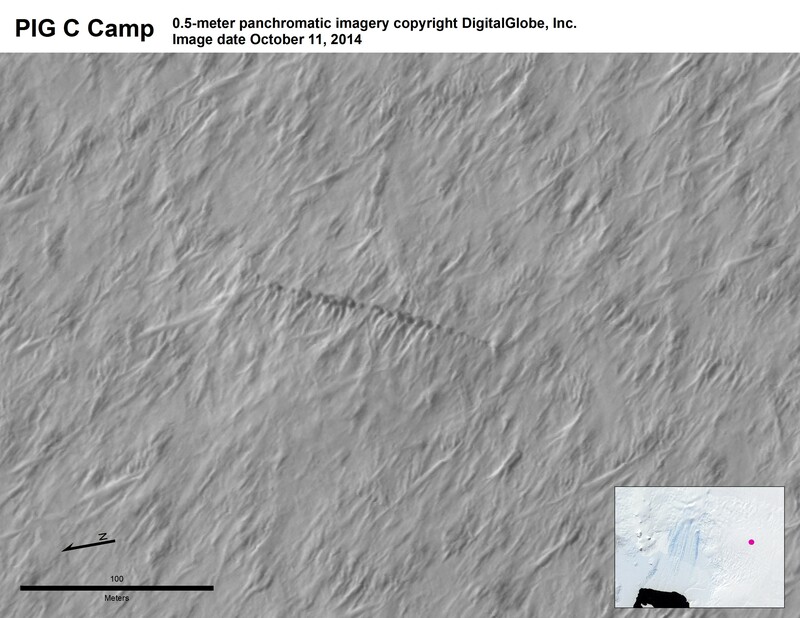 A low resolution satellite image of the PIG berm as of October 2014. The migration South has begun again. 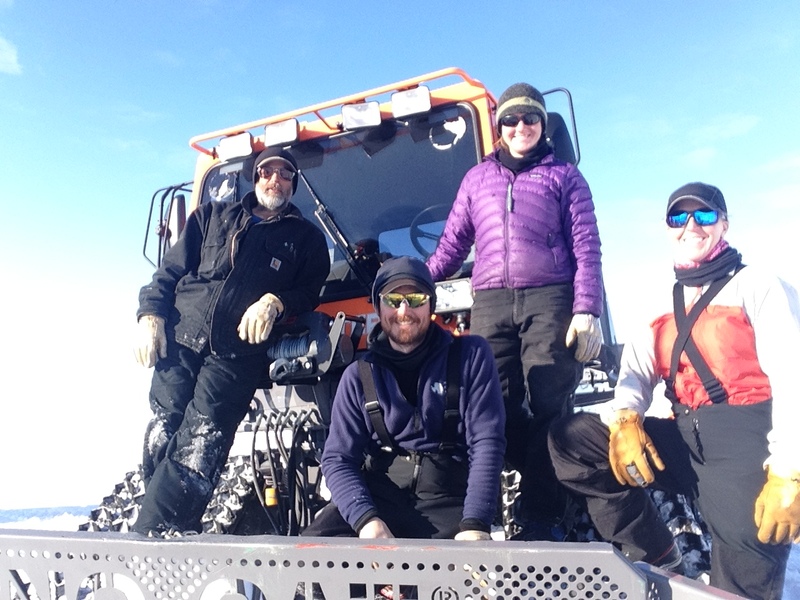 This year I’m heading back as the equipment operator on a small 4-person team: The West Antarctic Support (WAS) Recovery Crew. 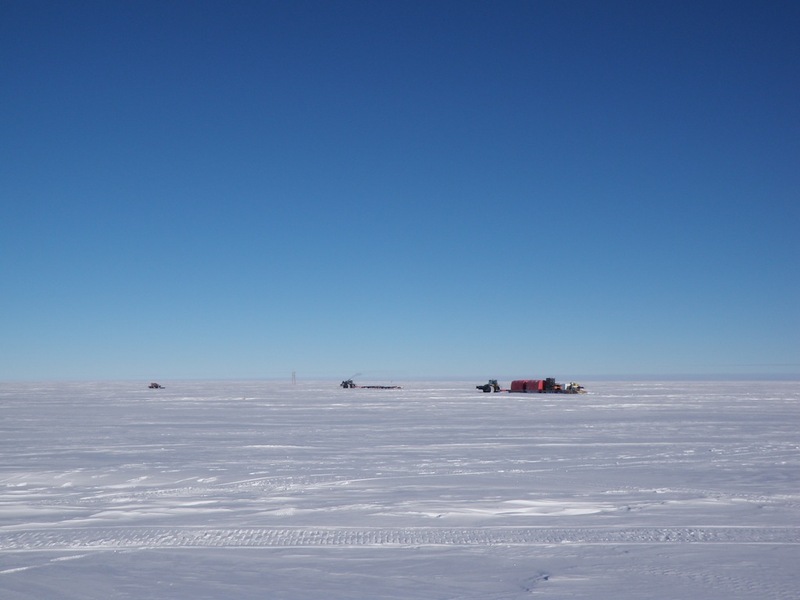 Two years ago (2012-13) there were several active camps in West Antarctica: Pine Island Glacier (PIG), the West Antarctic Ice Sheet (WAIS) Divide, WISSARD, Byrd, and Siple. My post summarizing these camps and projects can be found here. 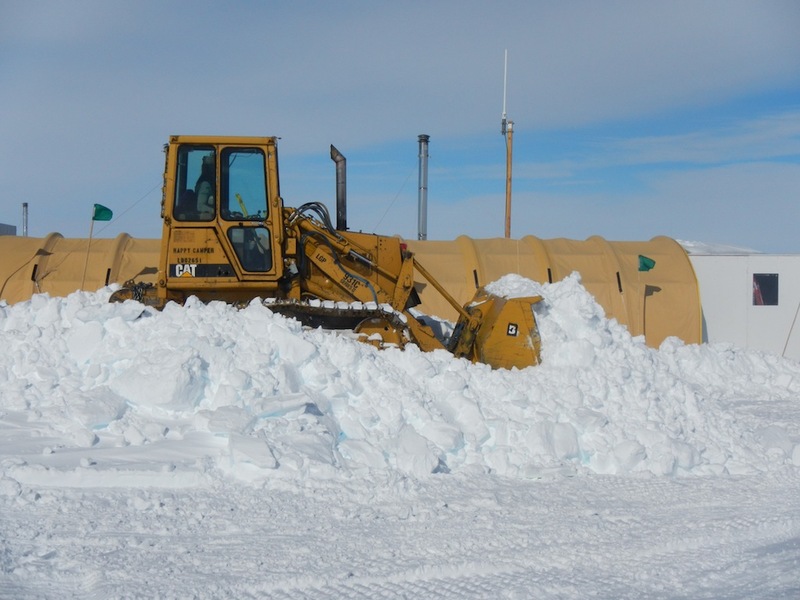 With the Government Shut-Down last year the removal of the PIG and Byrd camps could not be completed and the supply berms were left to drift over. These regions have large accumulation rates – averaging over a meter annually in some coastal areas in addition to drifting snow. 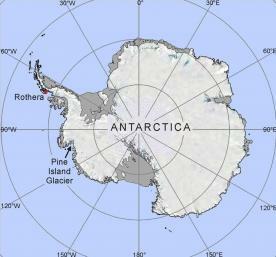 Pine Island Glacier is quite a ways from McMurdo, way out “west” towards the peninsula (point A on the map below). Because it’s so far away and because the weather is so notoriously bad Hercs heading out to PIG relied on WAIS as a fueling point and Byrd as their back up. 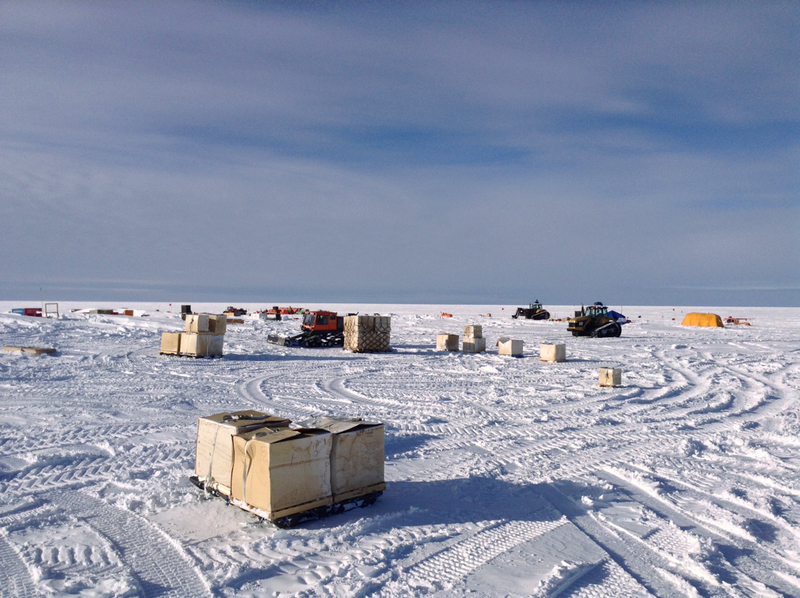 It’s easier to fly to WAIS so to initially establish PIG camp a traverse was organized to haul materials that were flown into WAIS. 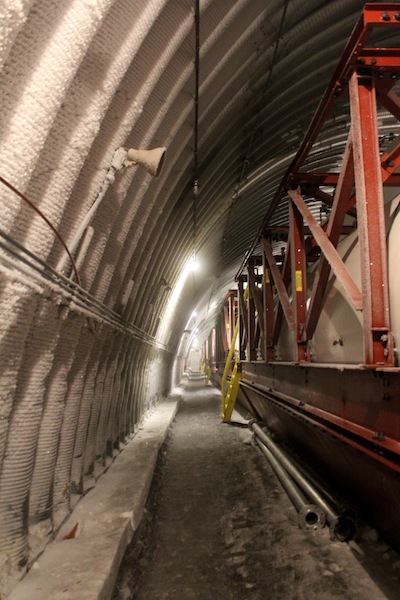 The projects utilizing PIG were completed in Feb 2013. 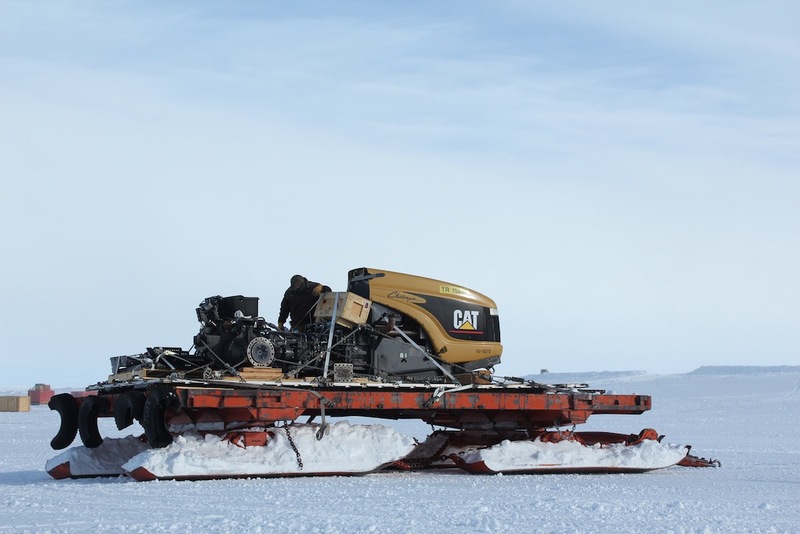 The plan for cleaning up the camp was a tractor team to traverse from WAIS to PIG, collect the materials, and haul them back to WAIS where it would be used or flown via LC-130 to McMurdo. 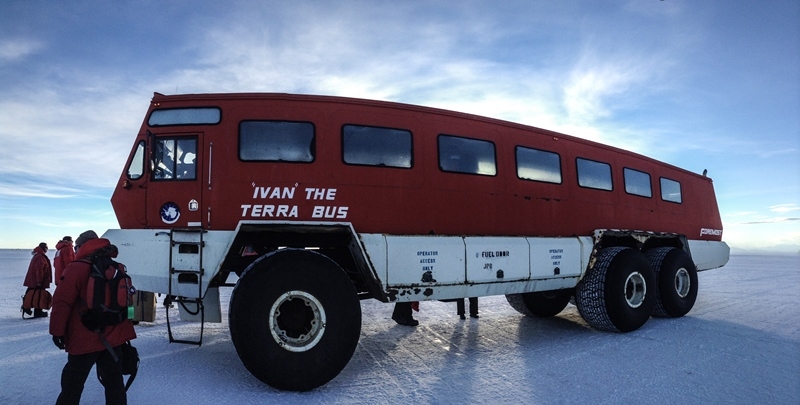 Then the government shutdown happened and the traverse had to be cancelled…So this year, two years since it was left, we’re going to try again. 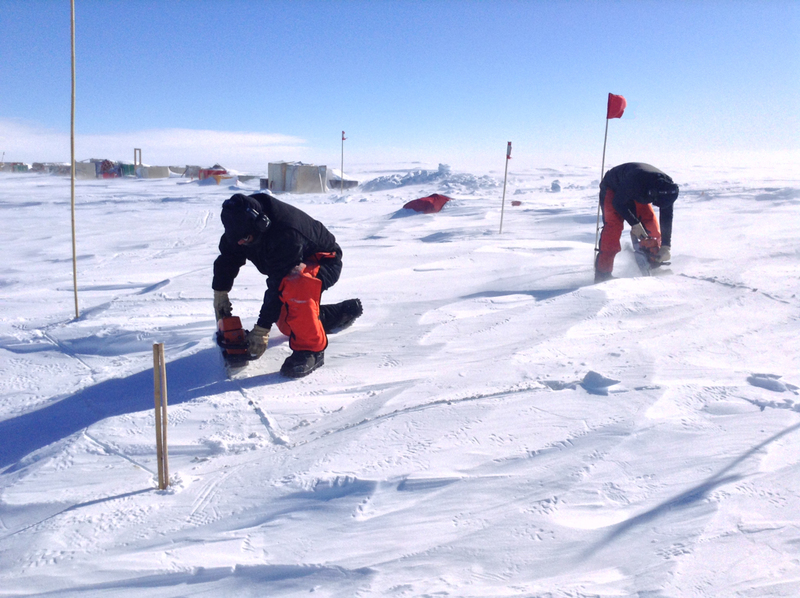 Our team has been organized to augment the traverse, making sure this stuff gets unburied and removed before it flows into the ocean. 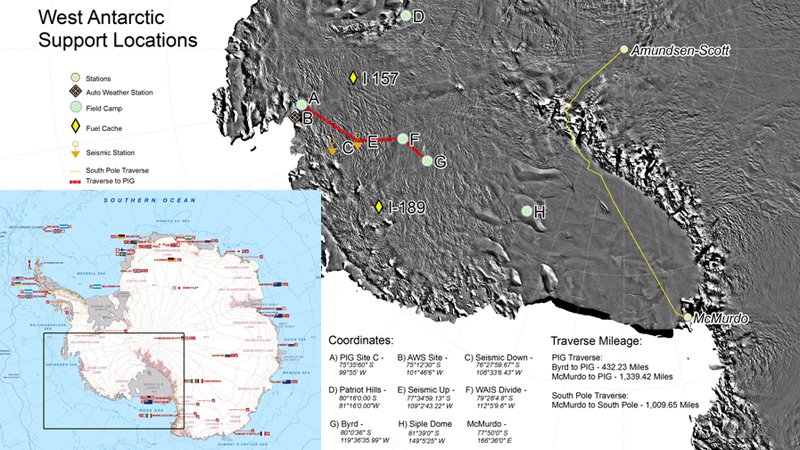 A map of the West Antarctic deep field camps. The 2012-13 PIG Traverse route is shown in red. The traverse this year won’t go to Byrd so will just travel between points F and A. 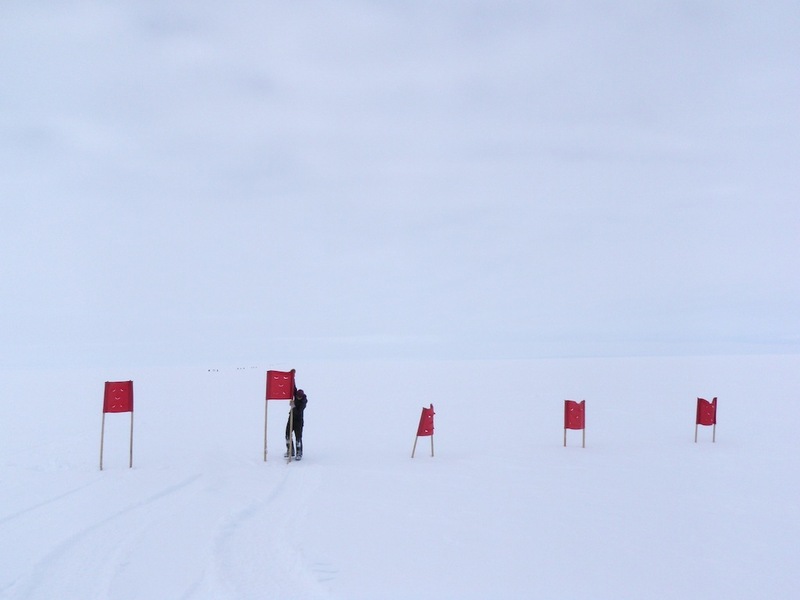 The South Pole traverse route is marked in yellow between McMurdo and Pole. 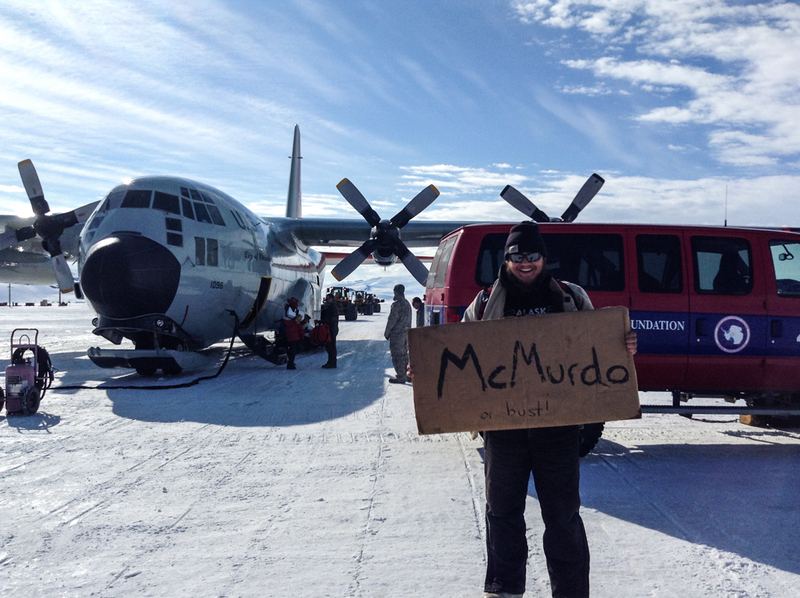 The rough schedule is to fly down to McMurdo in early November. 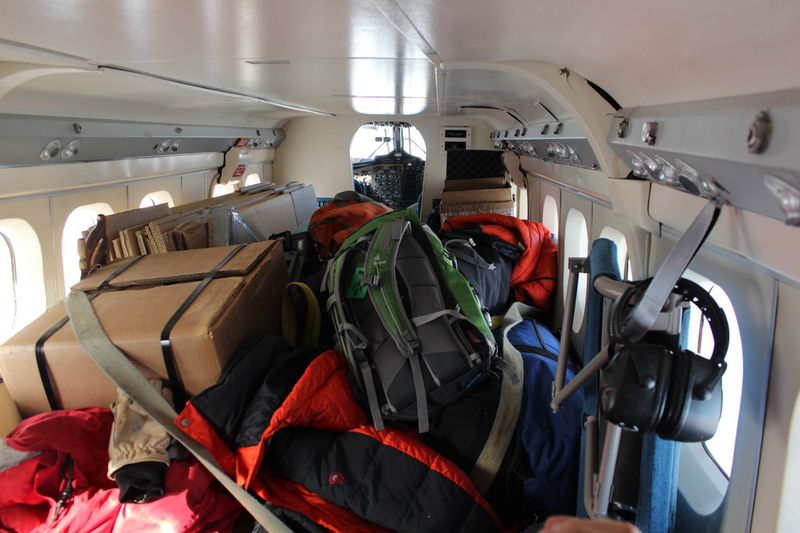 After getting our equipment together (tents, stoves, safety and comms gear etc) we’ll fly out to WAIS. 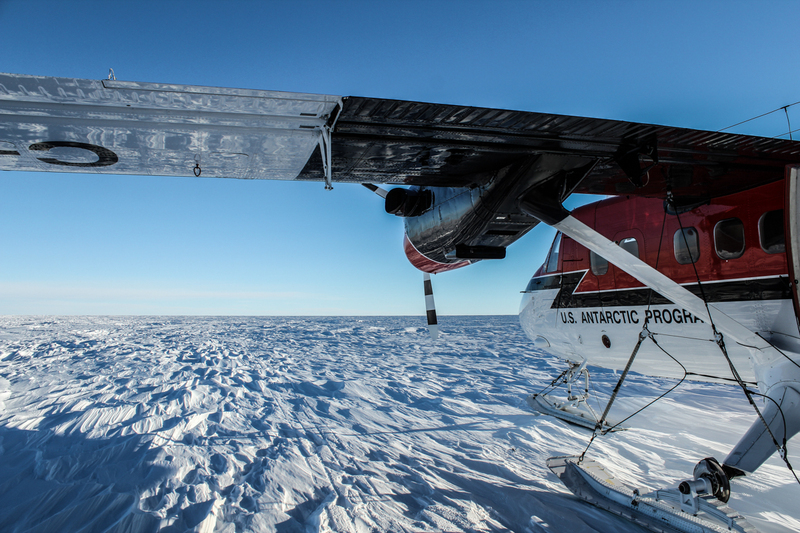 From WAIS we’ll get on a Twin Otter and head out to PIG by mid-late November. 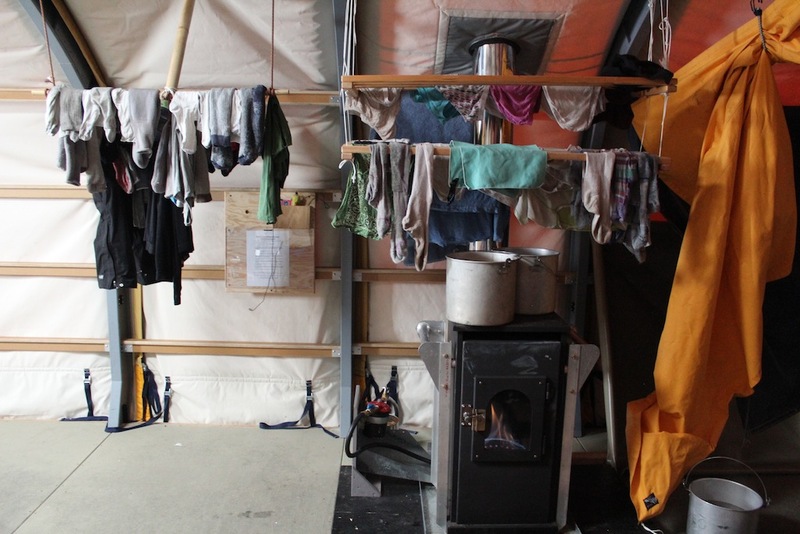 We won’t have the support of a full camp, it will just be the four of us and a few small tents (Arctic Ovens – “tent-city” tents). 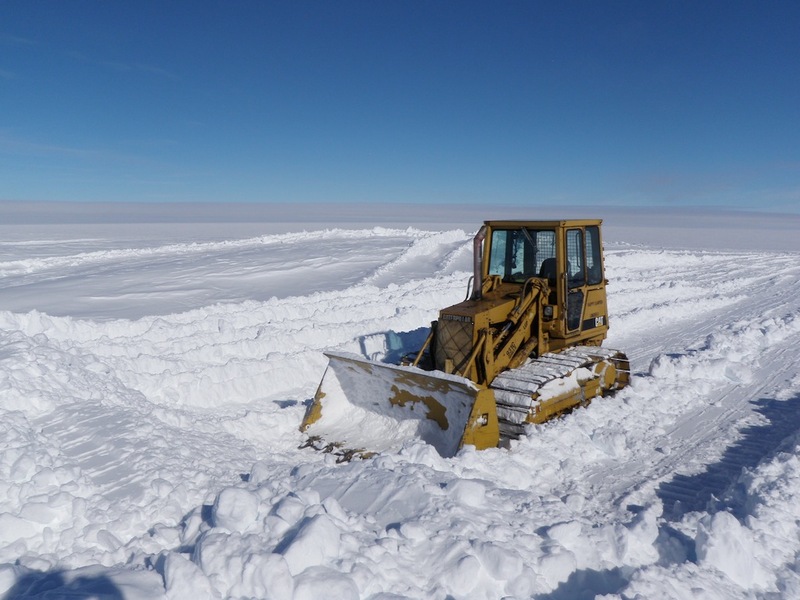 We’ll dig out the equipment, get it up and running, and use it to help dig out the supply berm, establish a field skiway for Twin Otters, and greet the PIG Traverse when the roll in hopefully around Dec 10. 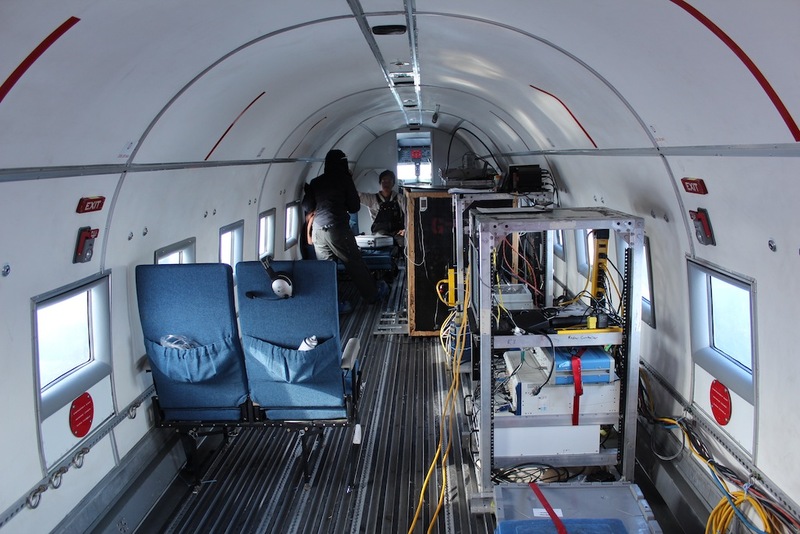 Once the traverse is loaded up and underway we’ll fly back to WAIS and out to Byrd. 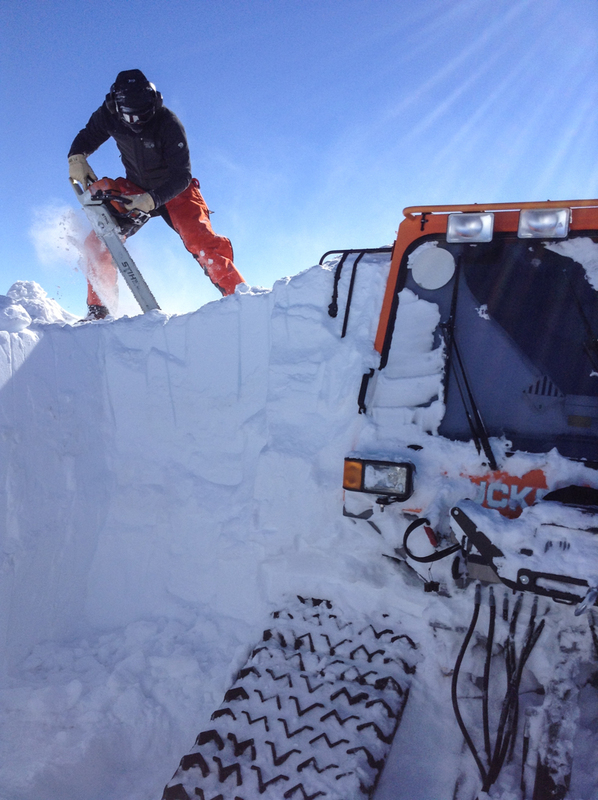 There isn’t a traverse planned for Byrd, so our job will be to repair some known broken equipment and try to move supplies to a new berm, or at least the snow surface as able. 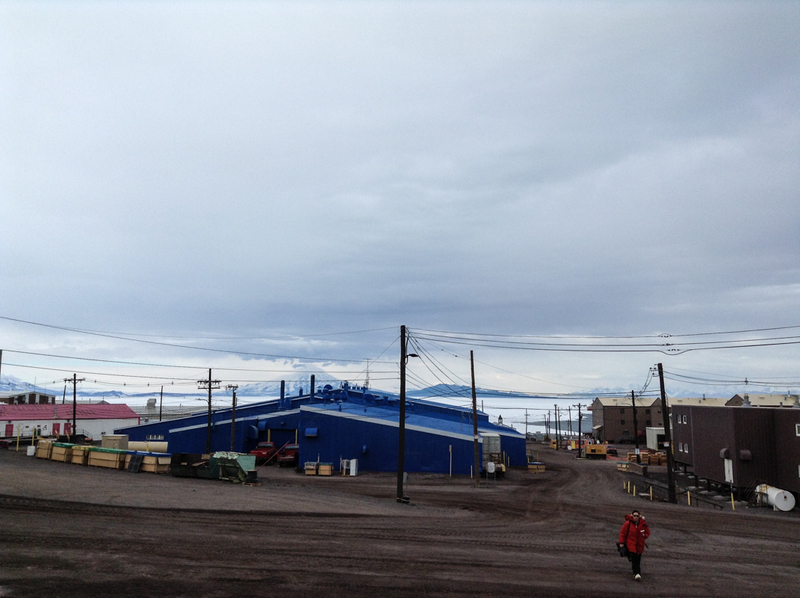 By late January we should be heading back to McMurdo. 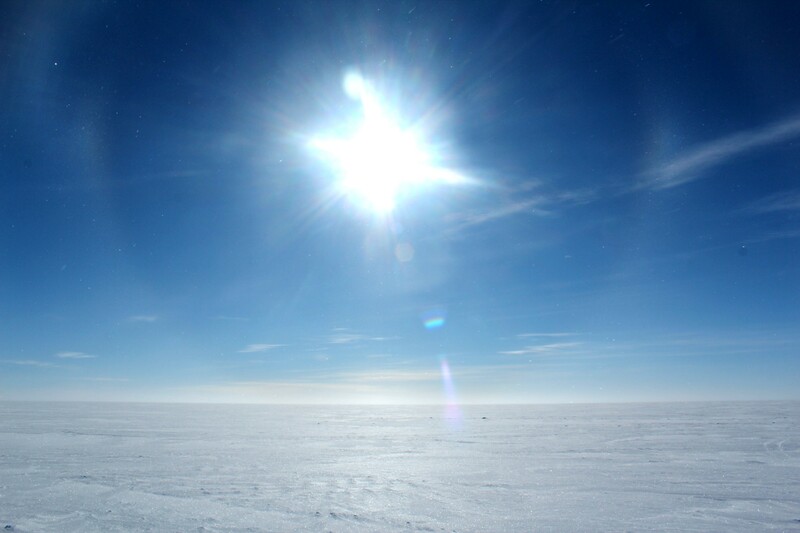 As I mentioned earlier, the weather in West Antarctica is notoriously bad and delays are expected. Our schedule is flexible with options to assist with other projects if we are delayed longer than expected at one site or other. Forrest McCarthy was a mountaineer with the PIG Traverse which left from Byrd in 2012-13. 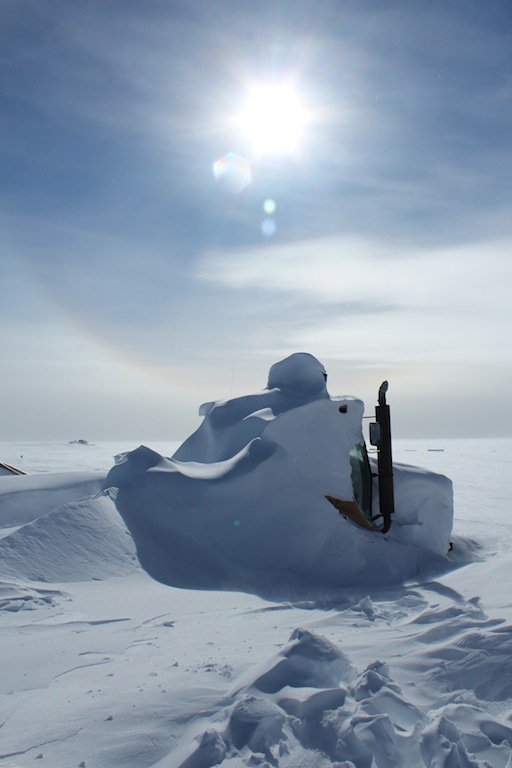 His blog here has a great page on Pine Island Glacier with a sweet video and some awesome photos! 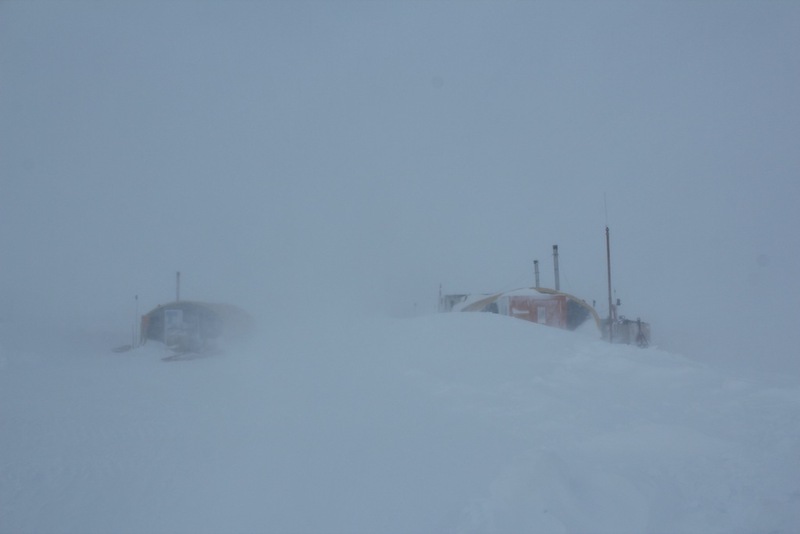 The Antarctic summer is winding down and the stations are all preparing for winter. 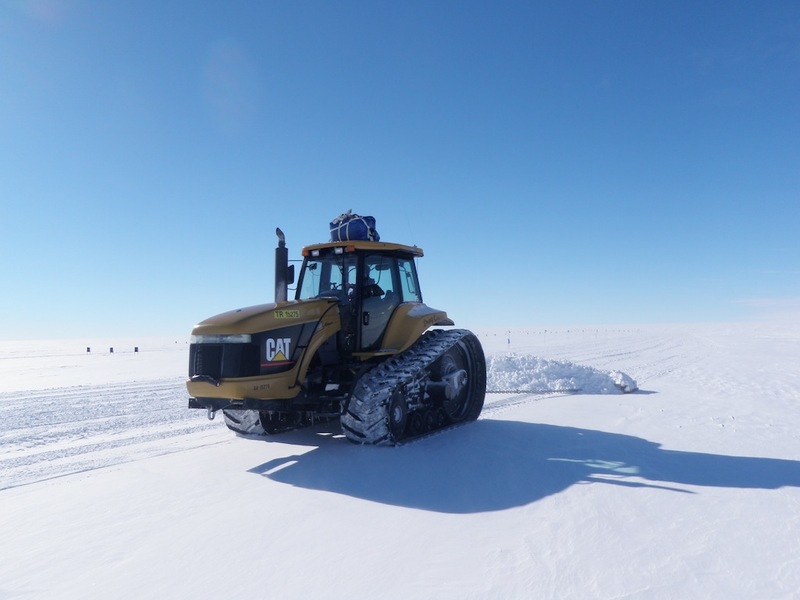 The 5 deep field camps (Siple, PIG, WAIS, WISSARD, and Byrd) have been closed and everyone is back in McMurdo, off travelling the world, or on their way home. It was a challenging season at Byrd, but overall a very good experience. 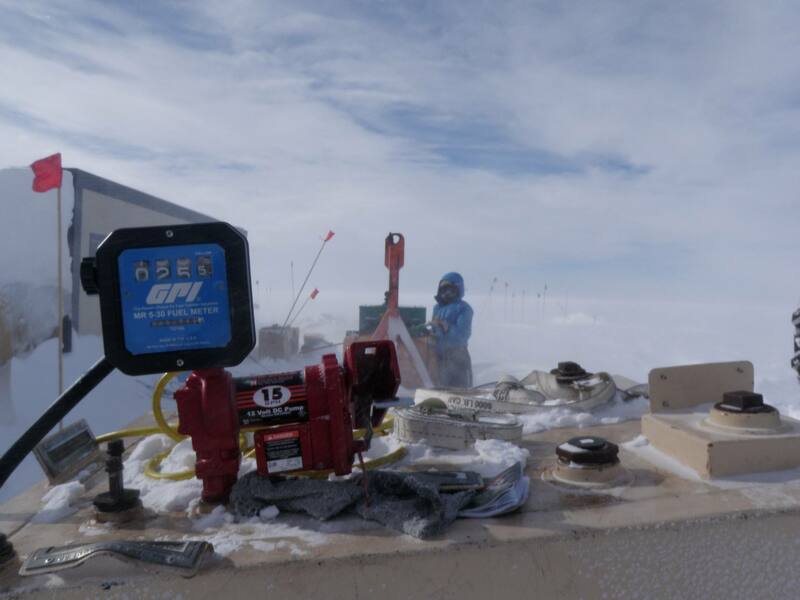 After a beautiful and rejuvenating week of R&R in New Zealand I returned to the ice and spent a week in McMurdo working with the hazardous waste group there (All the Wasties rock – Haz and Solid!). 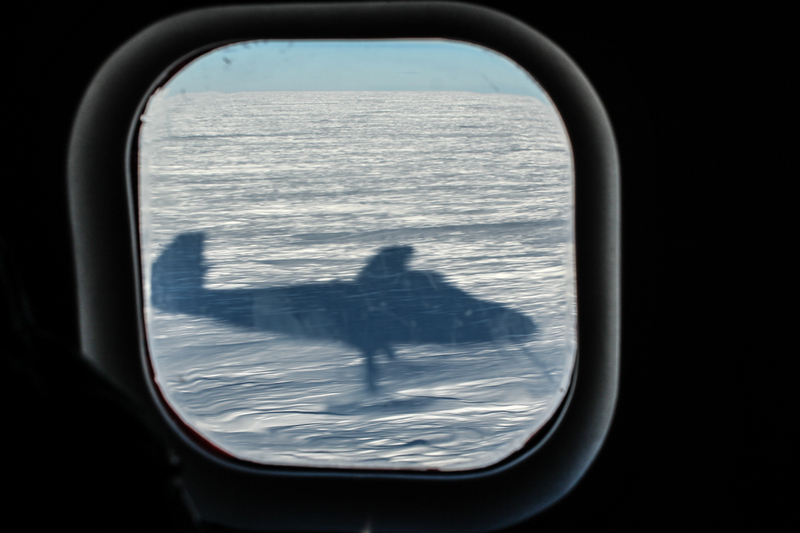 On Februay 11th, after several weather delays, I flew down to the South Pole. We closed for the winter on Valentines day with 44 souls on station. 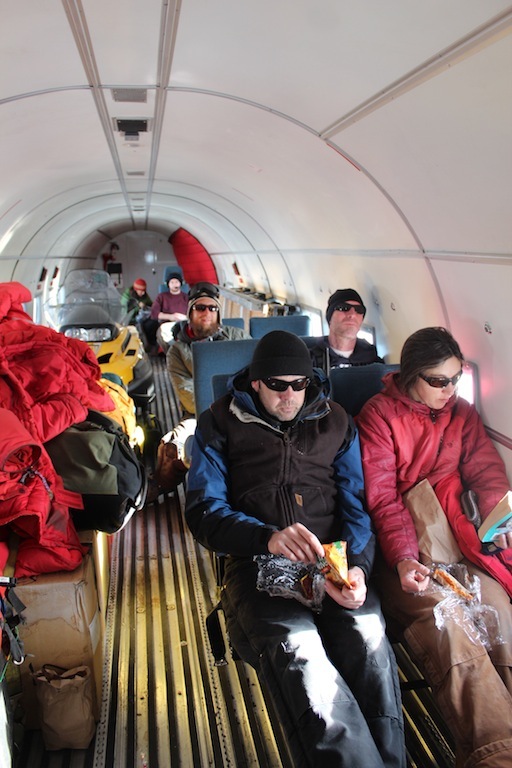 A few months ago on November 2, 2012, 6 of us squeezed onto a Kenn Borek Air Basler crammed with food, gear, and a snowmobile and left McMurdo crossing 1,400km into the heart of Marie Byrd Land – Byrd Surface Camp (80°S, 119°W). 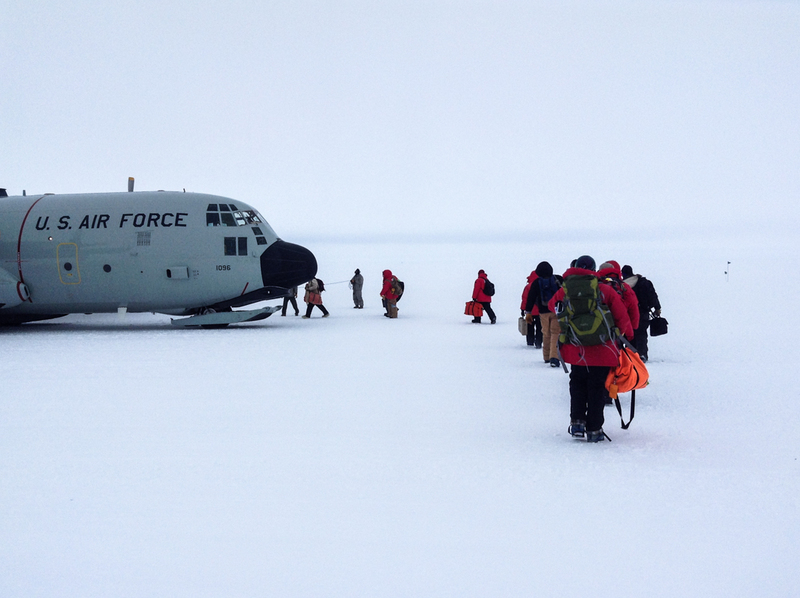 A C-130 (aka Herc, short for Hercules) with the rest of our supplies and crew was scheduled for the next day, though due to weather, mechanical, and priority changes it was a full 10 days before they left McMurdo. 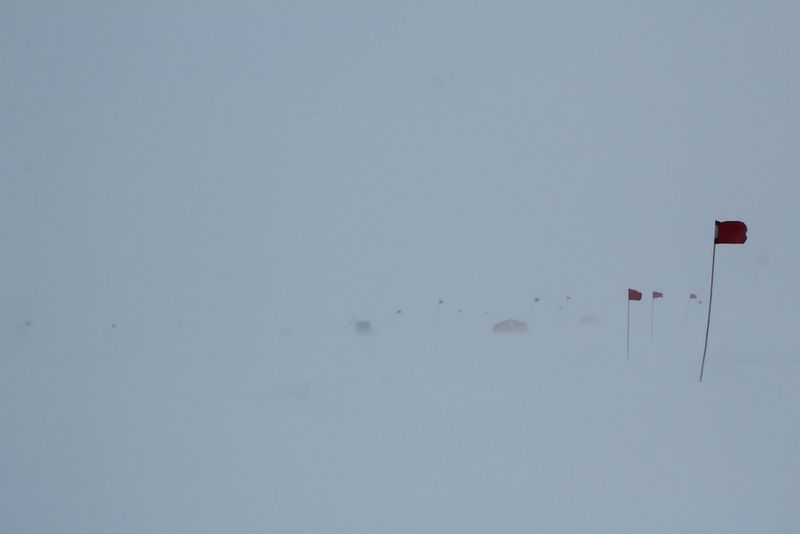 The satellite picture we saw before heading out (uploaded in a prior post) showed significant drifting along the winter berm, but while there were huge drifts downwind, the upwind side was fairly scoured. 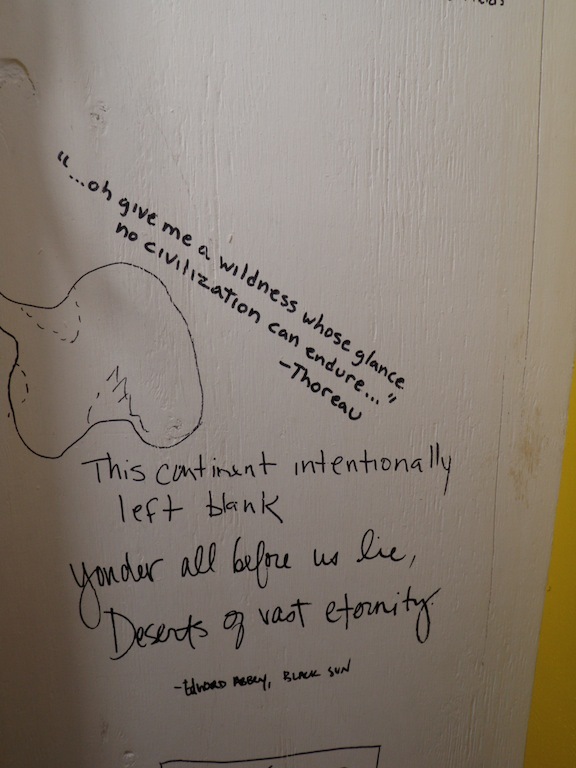 Very little was completely buried! 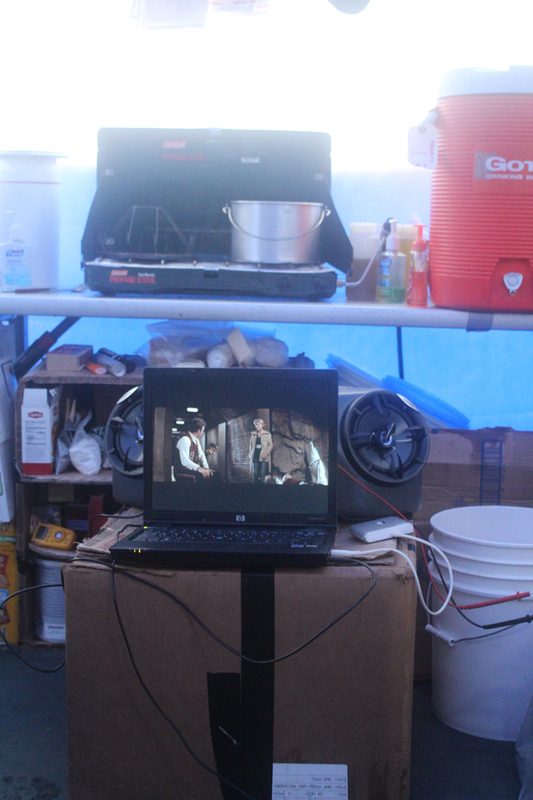 We set up our tents just behind the only hard-sided building and got to work. 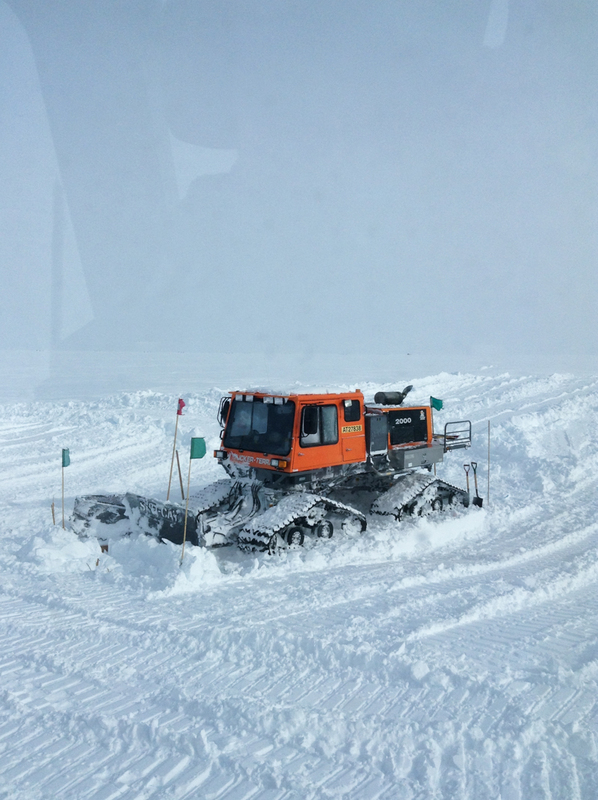 After starting the generator and getting the “galley mod” heated the first big job was digging out the equipment and then I went to work grooming the skiway. 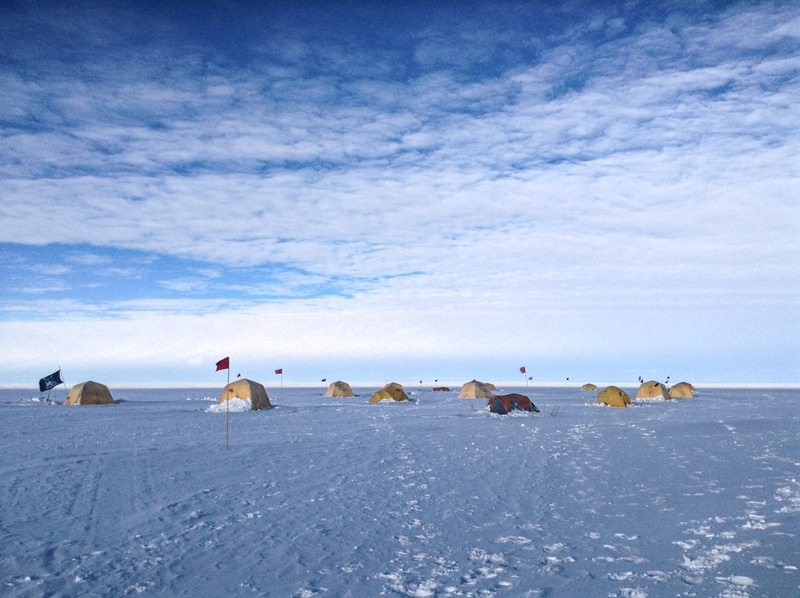 Our initial “tent town” on the backside of the berms – Arctic Ovens. The conical thing to the right is the outhouse. 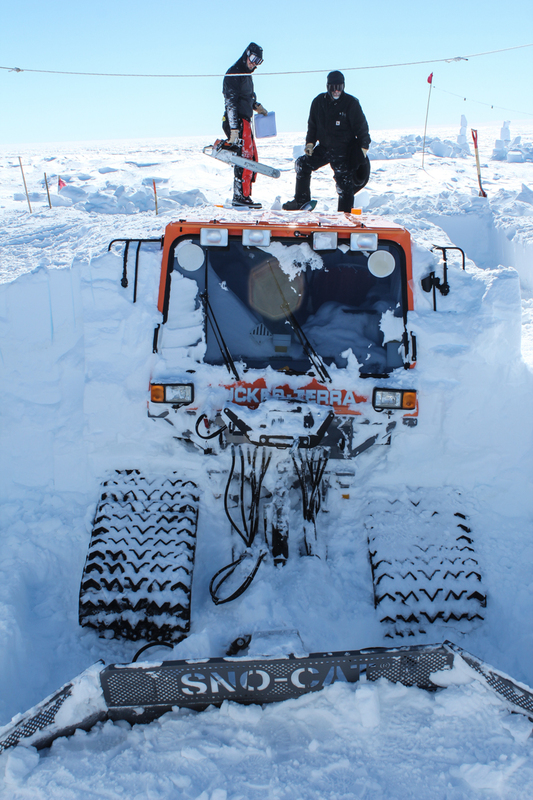 A buried Challenger 55 – not as bad as it might have been! 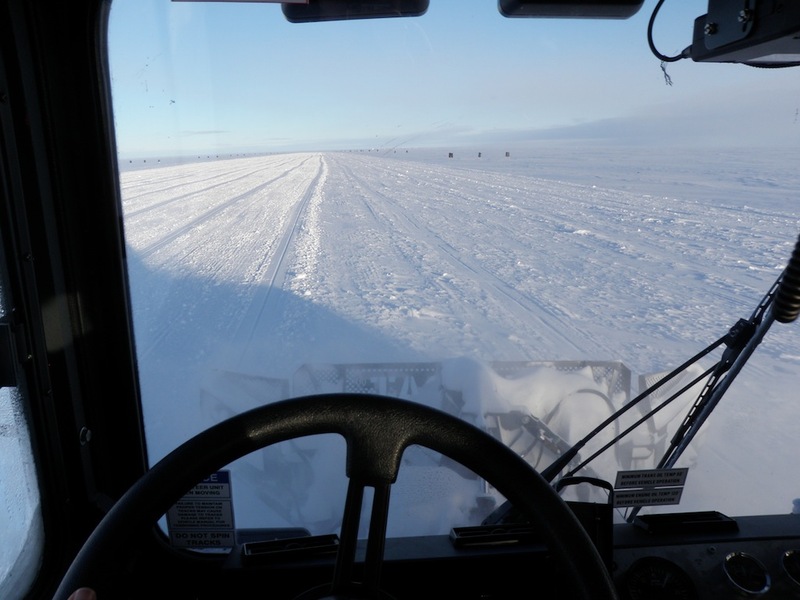 I spent many hours driving this road…smoothing out the dips and rises, compacting the snow to make a landing strip for the LC-130 Hercs, Baslers, and Twin Otters. The next 10 days were taxing. 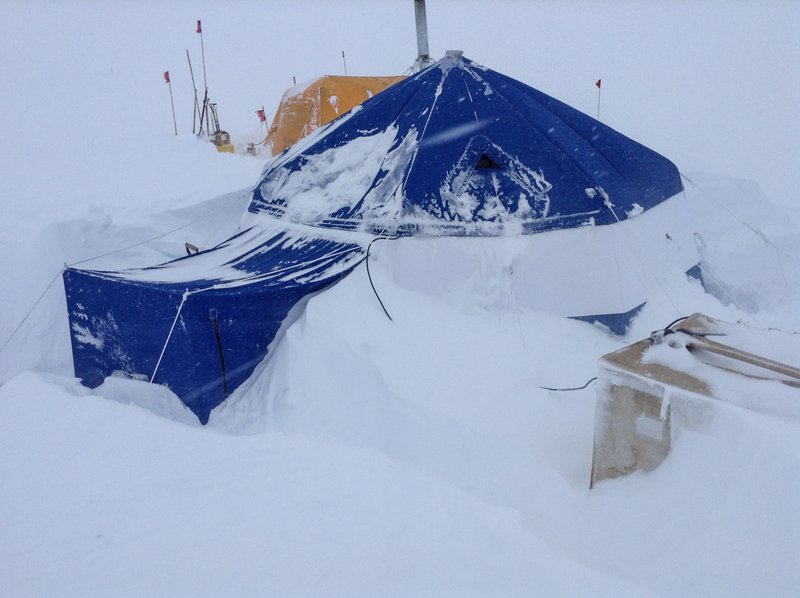 Working 7am-midnight, getting used to sleeping in a tent at -20F, lots of digging…we would all crowd into the galley mod for meals, fill some buckets of snow to melt for water, and crash at the end of the day to sleep a few hours before doing it all over again. 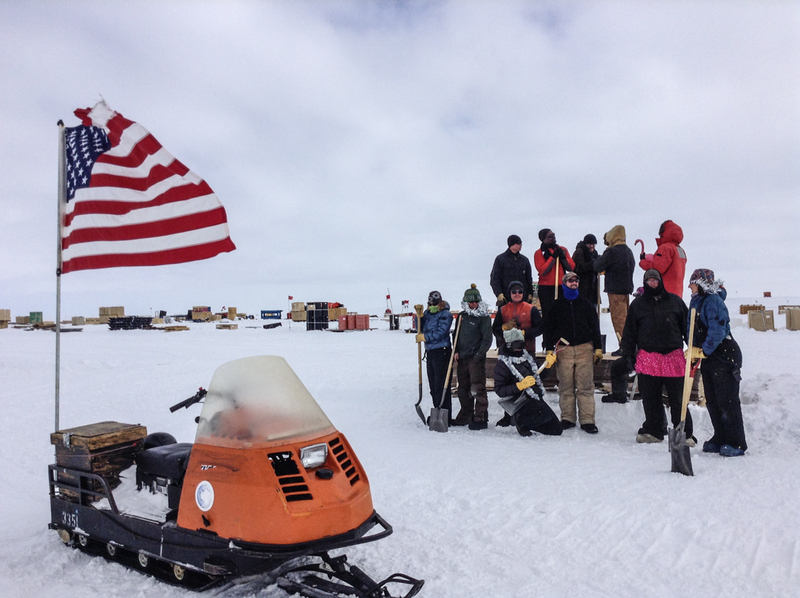 Once the Herc came the population rose to 20 with the carpenters (carps) and the PIG Traverse crew, and we got busy setting up the rest of camp and getting the traverse ready to go. The traverse didn’t leave until November 28th so everyone was there for Thanks Giving. 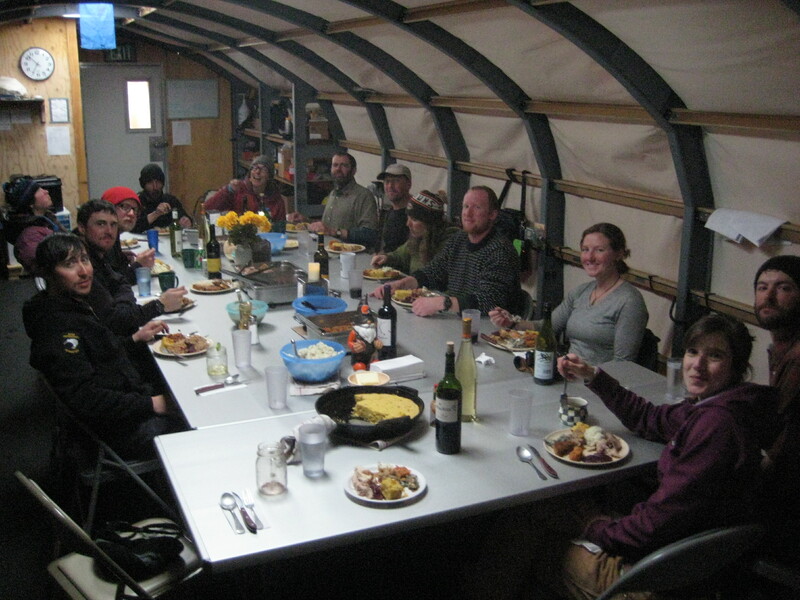 We took the day off, rearranged the galley to make one huge table, and had quite the feast. 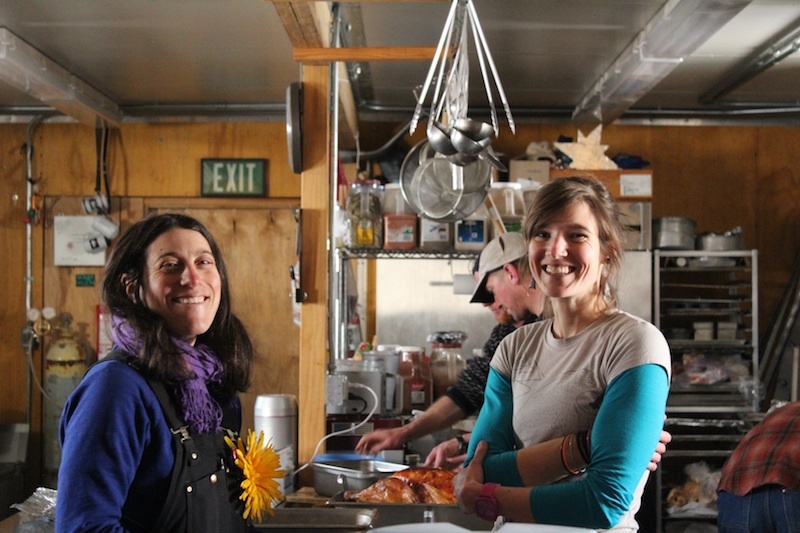 Tara did most of the cooking throughout the season, but for the big meal we had a lot of volunteers. 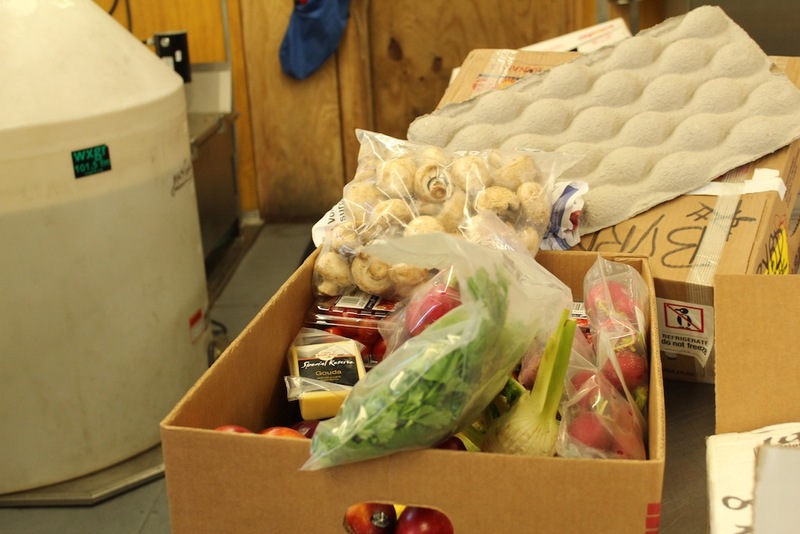 Even without freshies (all our food was either frozen or canned) we put together a delicious and impressive spread. Two turkeys, stuffing, rosemary mashed potatoes, yams with caramelized pecans, green beans with almond béchamel, chipotle-jack cornbread, spiced cranberry sauce, and honey-soy tofu. 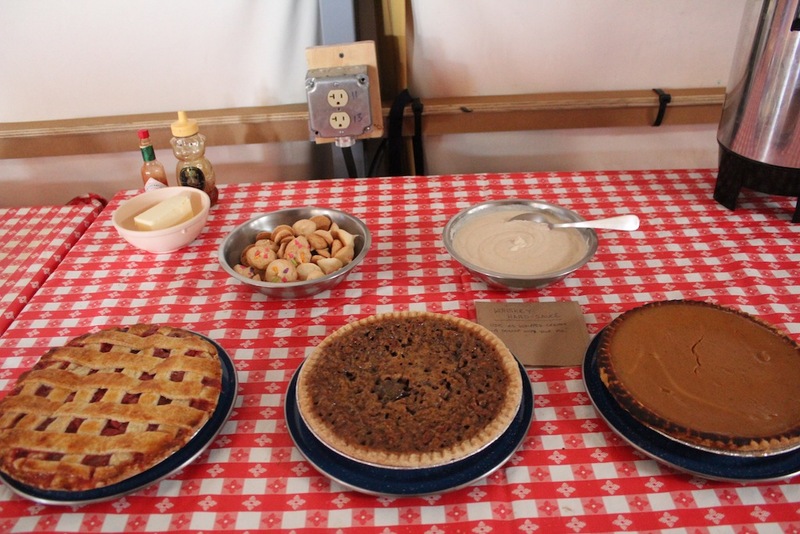 There were several bottles of wine and delicious dark chocolate pecan, strawberry-rhubarb, and pumpkin pies for dessert. While they were at Byrd the carp crew was kept busy setting up the sleds and structures for the PIG Traverse and the large tents for Byrd Camp: a Jamesway for the mechanics, a smaller “Rac-tent” (kind of a modern Jamesway) for science/rec, a 40ft of Rac-tent extension on the Galley, a little blue “polar haven” tent, and 3 outhouses. 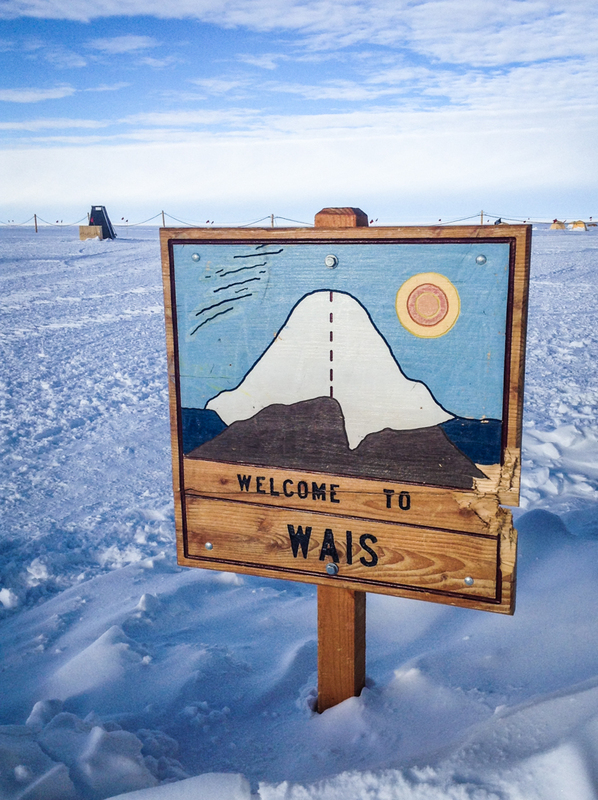 On November 28th the PIG Traverse left for WAIS Divide, taking the carps with them. Then there were four: Abby, Tara, the mechanic Toby, and myself. 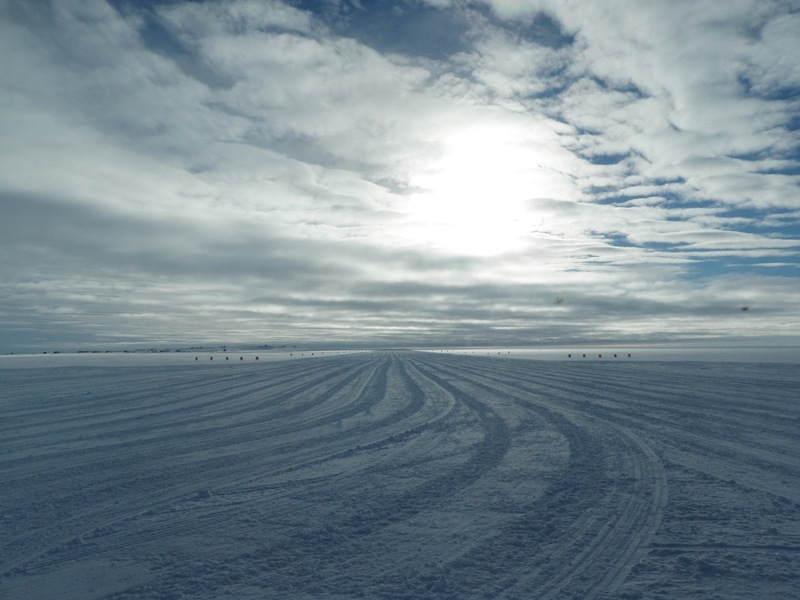 And then they were off…heading to WAIS and onto PIG – leaving just four of us behind. 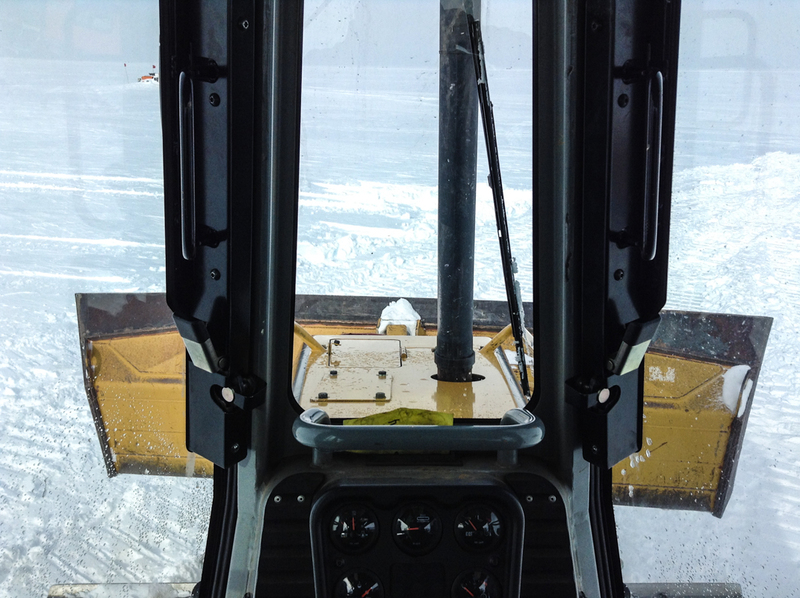 As the Heavy Equipment Operator I worked at keeping the skiway groomed and got lots of practice pushing snow with the 931 bucket. 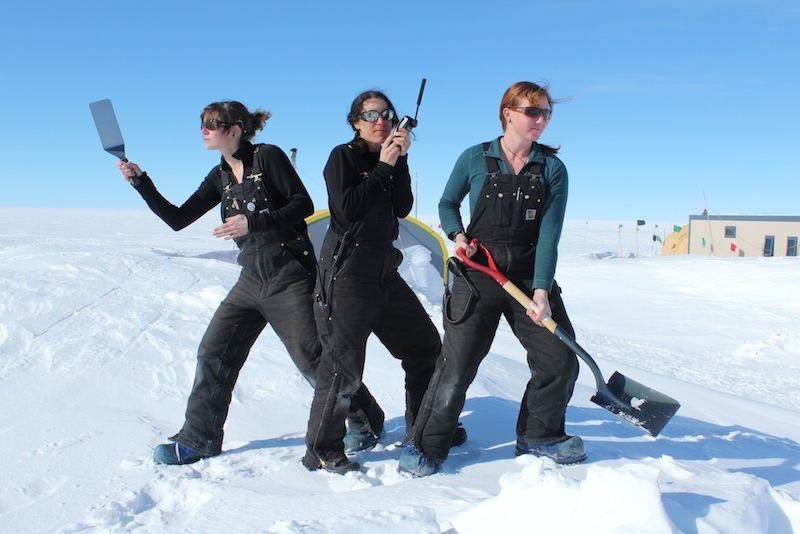 Both Abby and Tara got in the equipment to help groom and Tara even got some experience pushing snow. 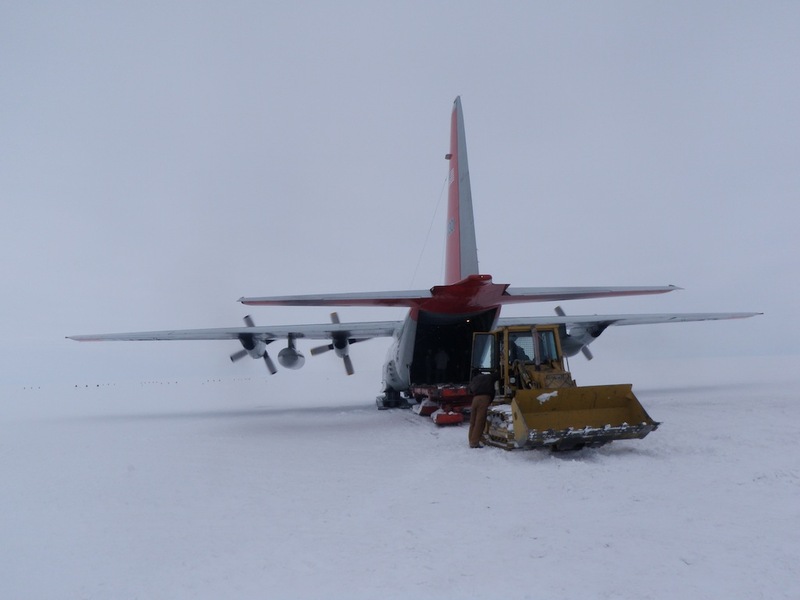 We had a few Hercs in December, one to bring in a carpenter and another mechanic to help with some big projects. 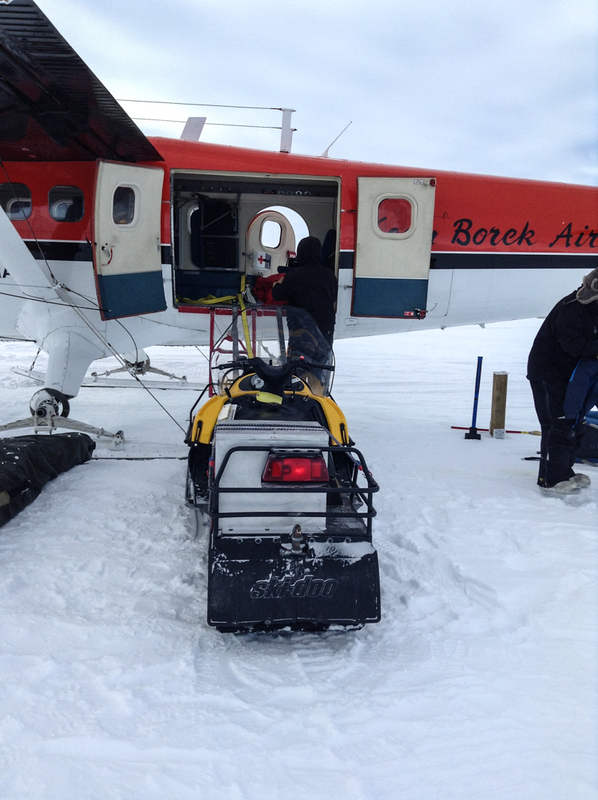 A week later a Twin Otter came in to pull them and our original mechanic Toby back to McMurdo for Christmas. 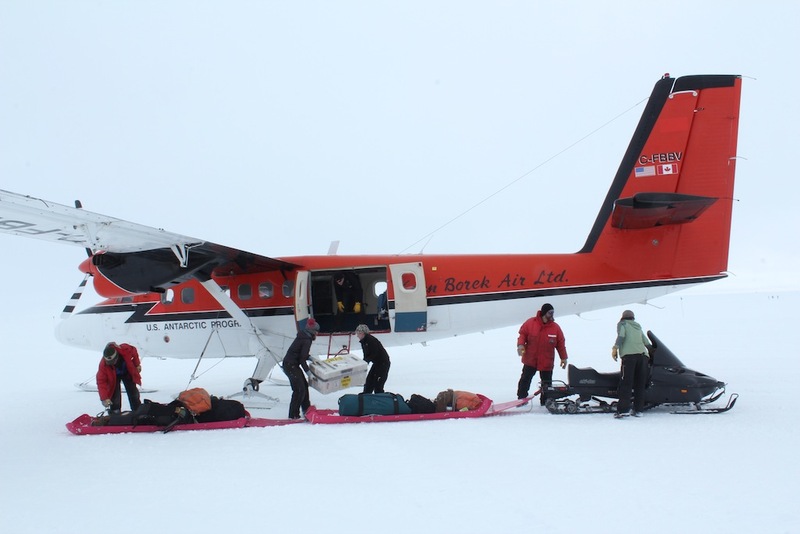 For a full 3 hours it was just the three of us girls – Tara, Abby, and I – before a second Twin Otter flew in to bring us our second main mechanic, Nate. The next three weeks were quiet. 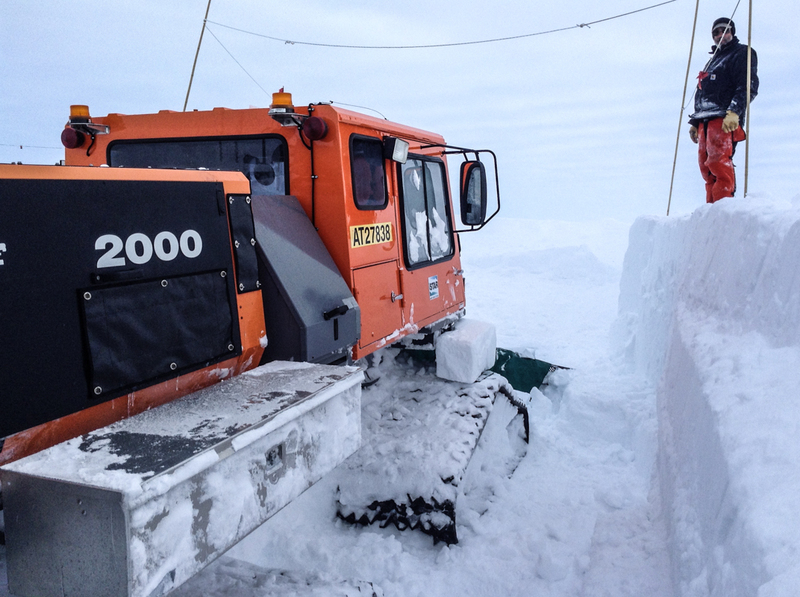 We groomed the skiway, pushed snow, watched movies in the Science/Rec tent, cooked, and went through the pallets of material that had accumulated over the past several years. 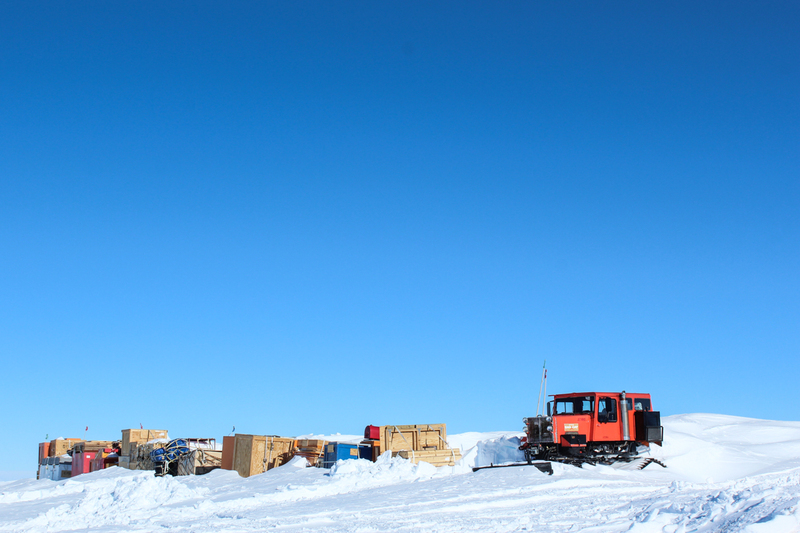 We built and sent out 29 pallets back to McMurdo over the entire season. Life at Byrd was calm. 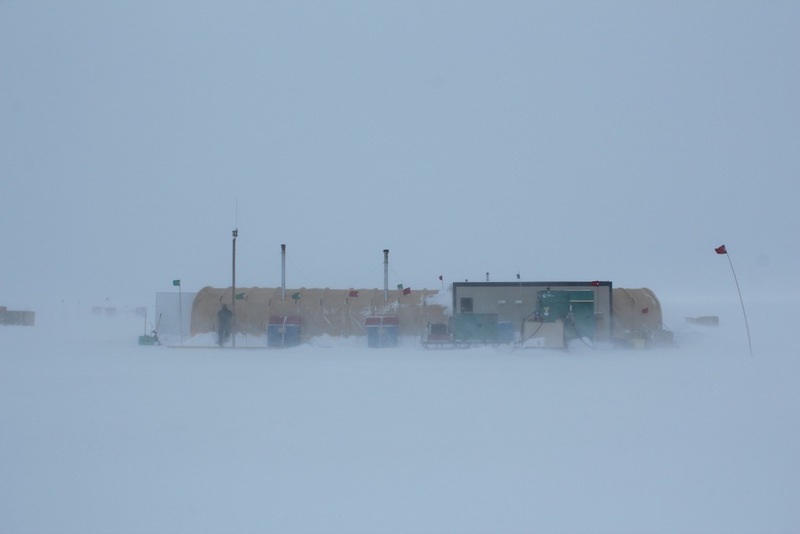 Our primary purpose was to maintain camp as a back-up refueling stop for Hercs flying to PIG and wait until the grantee group arrived, scheduled to arrive on January 9th. 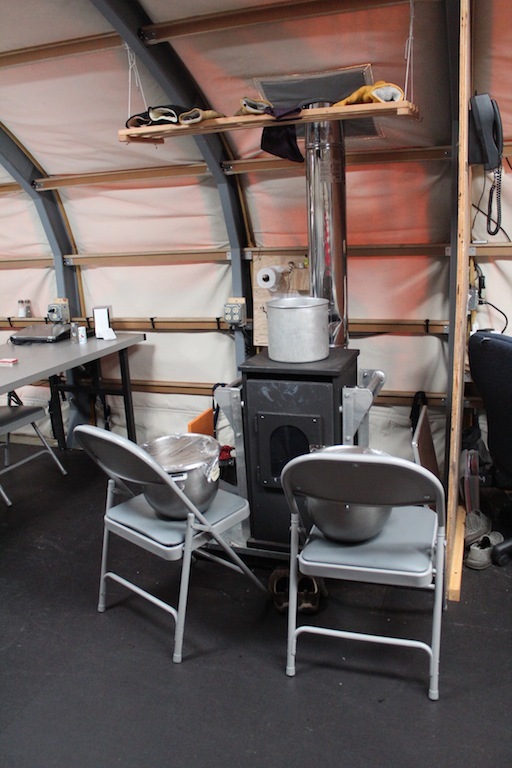 While on some level it was quite a modern camp – with Iridium satellite phones, modern industrial kitchen set-up, weather monitoring equipment, and heavy equipment to work with, at other times it felt like Little House on the Prairie…or Little Camp on the Flat White. 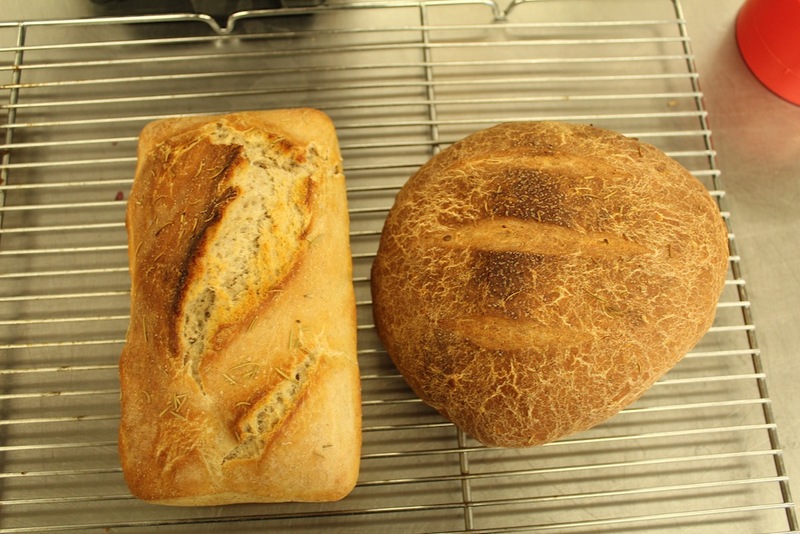 One of our few deliveries of freshies! 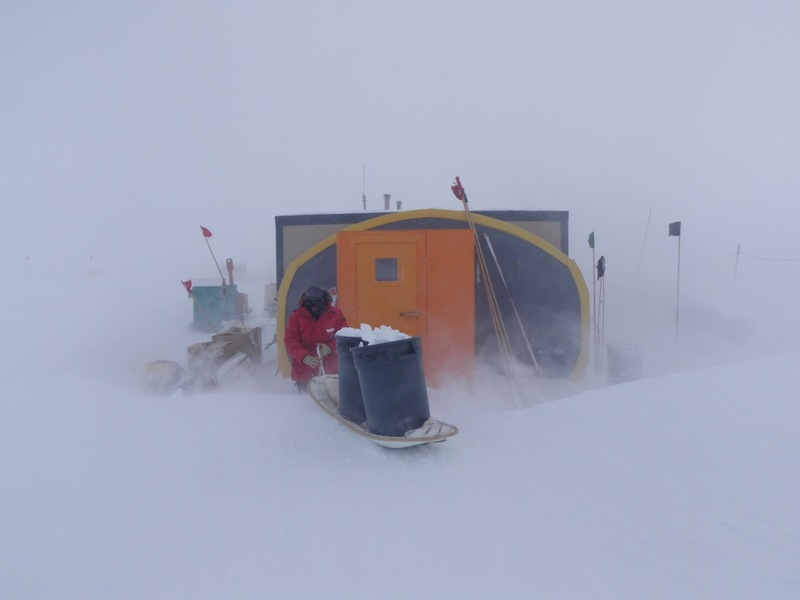 There is nothing better for morale in Antarctica than freshies and mail. 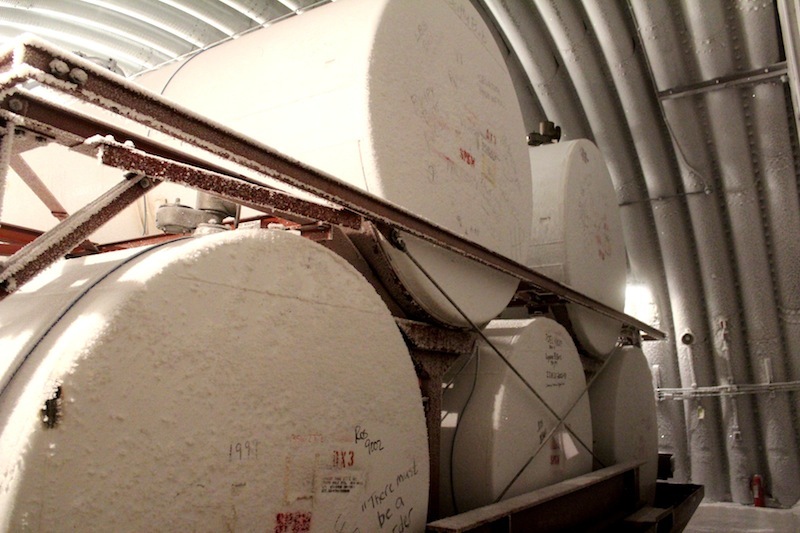 Calm or storm all our water was shoveled by hand, carried inside, melted with electric heating elements, and stored in a large reservoir tank. Laundry! We washed our clothes by hand in the tin pails shown. It would take only a few hours to melt and warm a pail of snow on the stove. Bathing in a new fuel containment berm with a scoop and a bucket of warm water. When it was just the four of us we set up a solar shower in the “Science” tent which we filled with water warmed on the KUMA stove. The bathing process was fairly time intensive even after we got it dialed…we all bathed once a week or two, the good part being there really isn’t any dirt out there and little cause to sweat. Home sweet home. 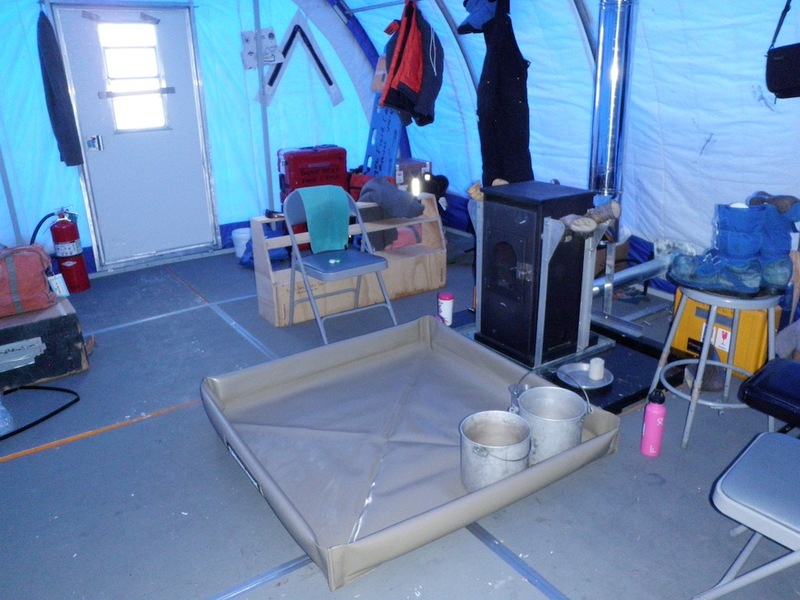 We each got our own Arctic Oven tent to sleep in for the season. While they were unheated, during the warmer days it got above freezing inside from solar insolation. Not too bad until the wind picked up. 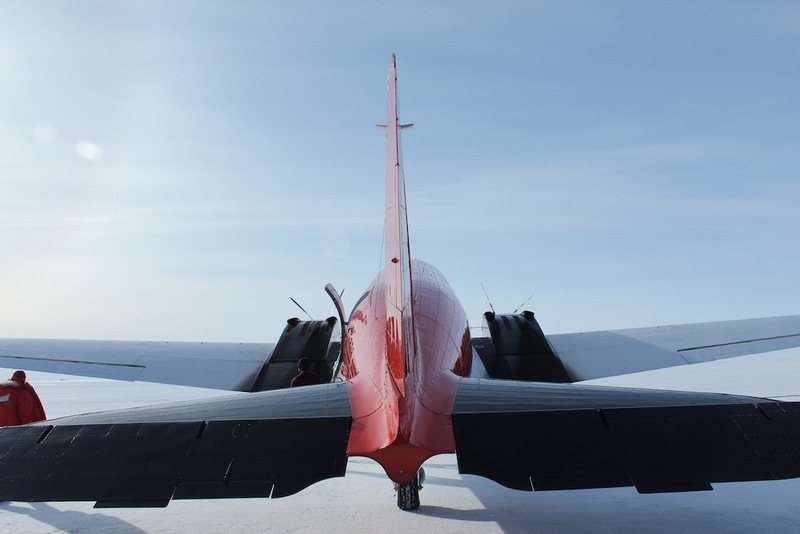 Everything at Byrd ran on AN-8 jet fuel – the equipment, generators, Hercs, Twin Otters, Baslers, and heating stoves. 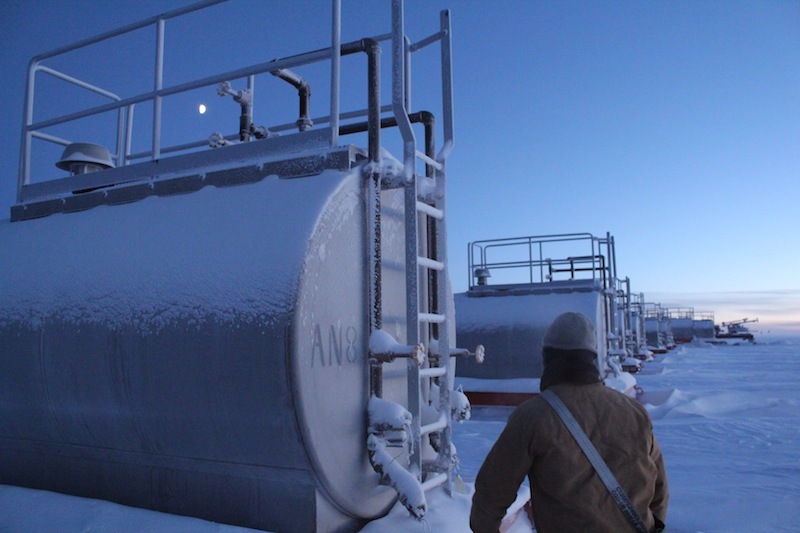 Twice a week we would hook up the ~220gal fuel tank, top it off from one of the four 10,000gal bladders, and fill the smaller tanks at each building. 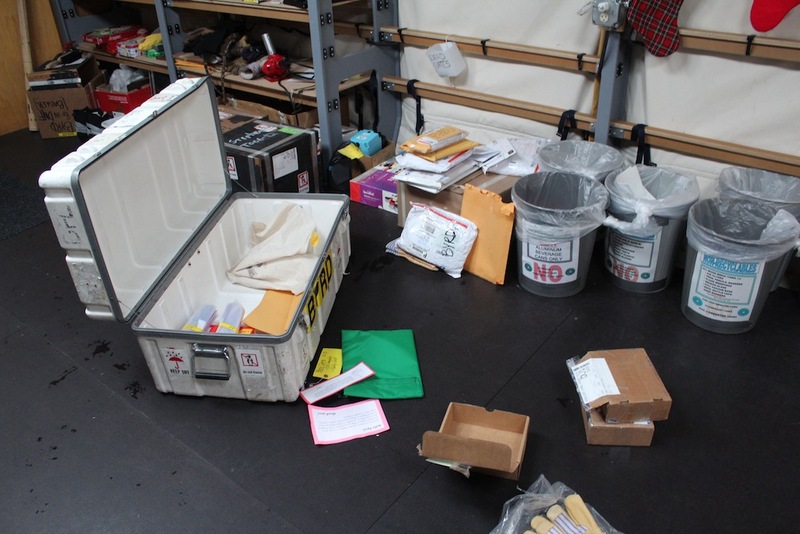 Finally, after more weather delays, on January 16th the Grantees arrived! 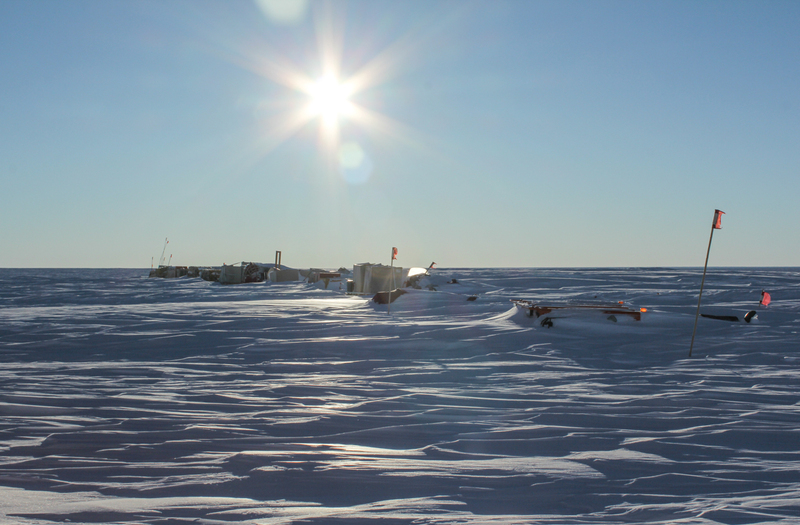 Our population jumped from 4 to 21 overnight and we switched from quietly maintaining, to a full on camp with science, flights, cargo, big projects and small. 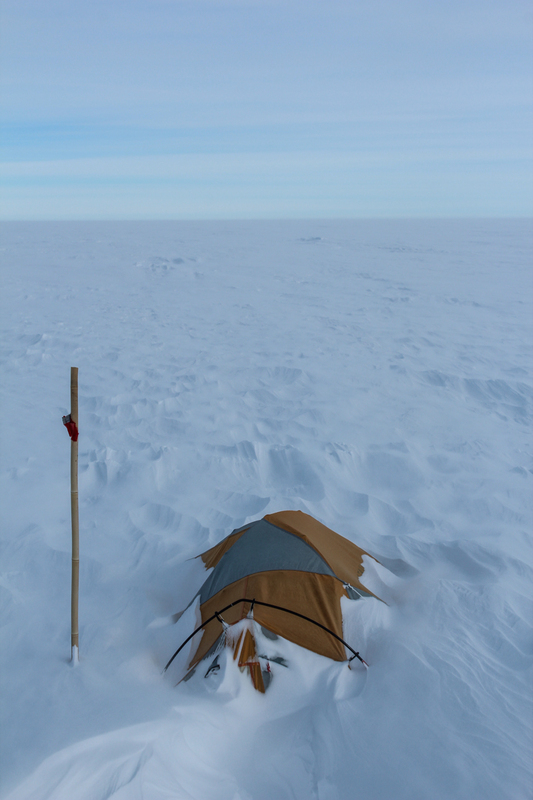 It was a challenging transition, and hard for me to stay present with R&R dates changing and the Pole winter looming nearer. 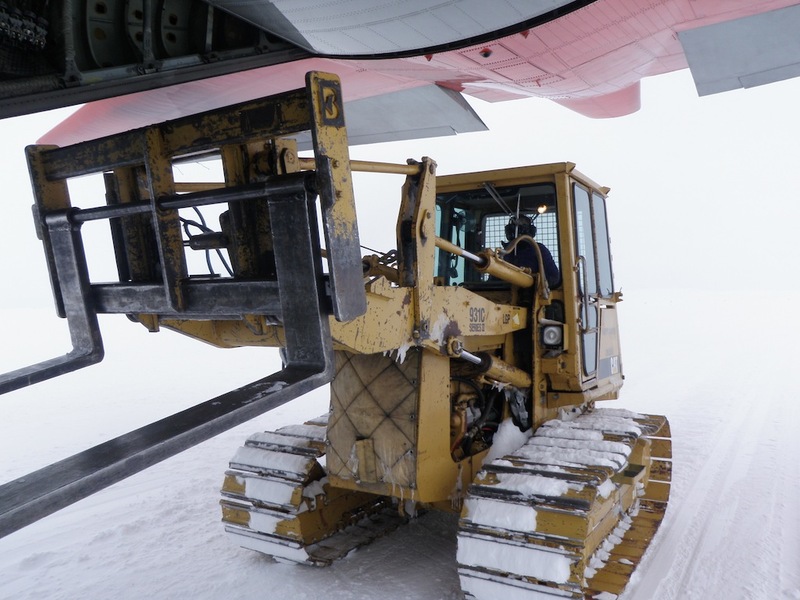 With the larger population we were able to get some big projects done – such as digging out and tearing down two of our four fuel bladders to be returned to McMurdo and taking apart our Challenger Drag Queen, as the transmission had seized in late December. 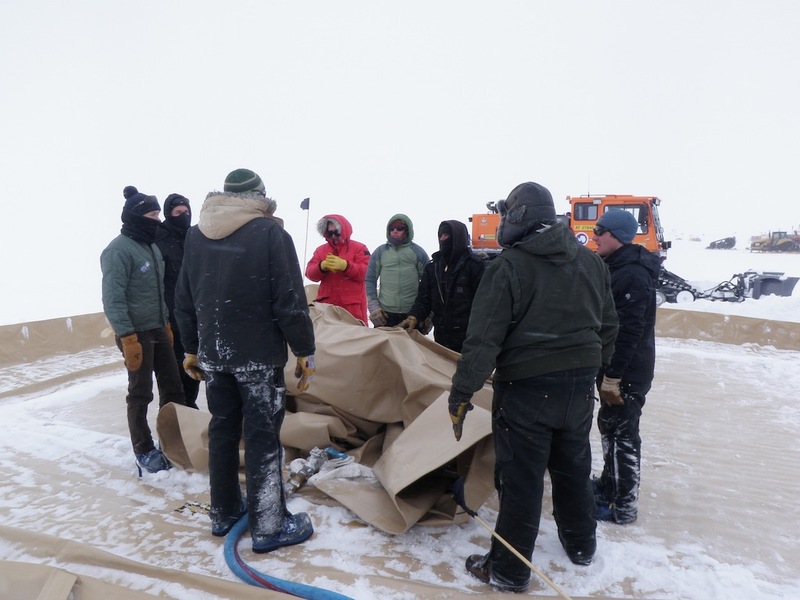 Many hands make light work shoveling out bladders! Town proper from atop the berms – the skiway/bladders are off to the left, tent city is on the right. 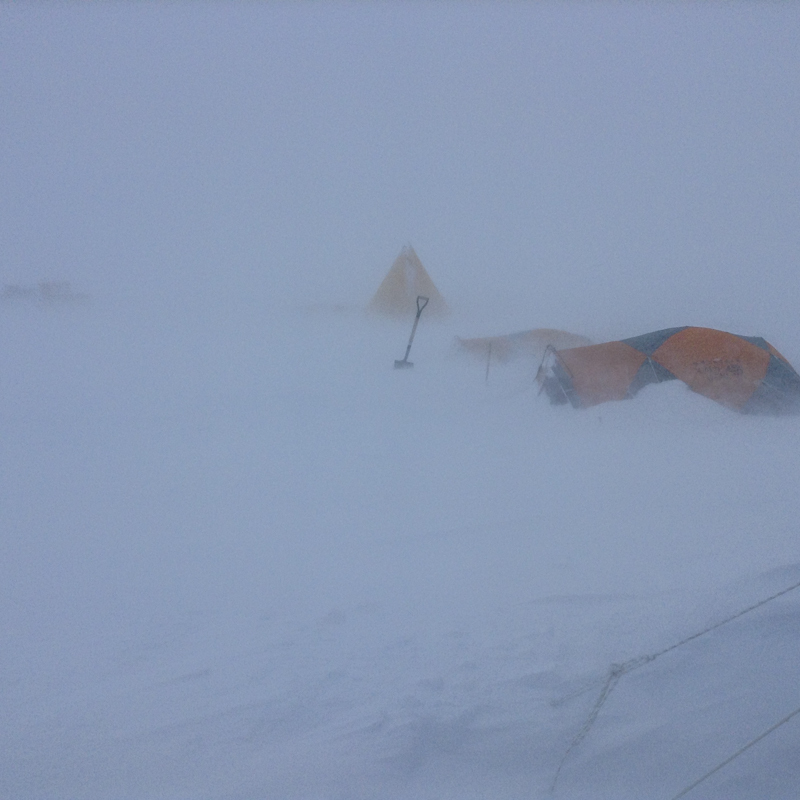 You can just make out the three yellow Arctic Oven tents for Myself, Tara, and Abby. 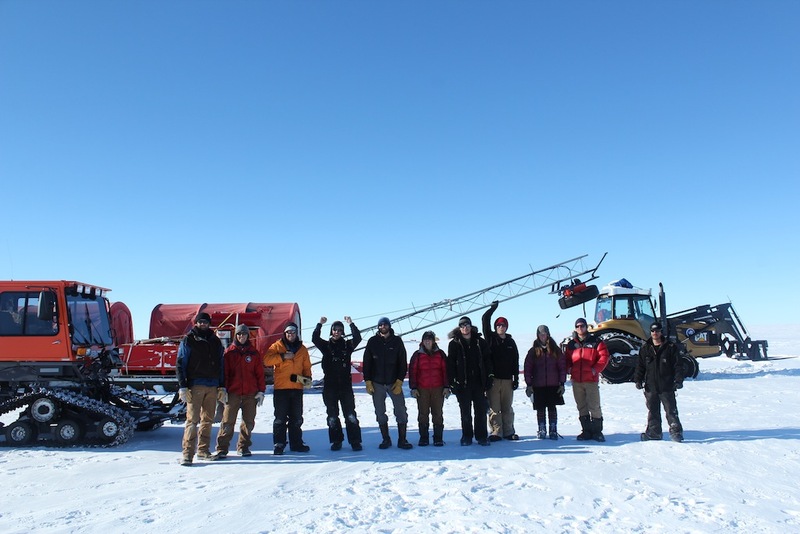 For the past two weeks we’ve been working and training in McMurdo, collecting and packing gear, packing food, checking our equipment, and going over flight schedules, cargo weight limits, and emergency plans. Now that we’re delayed we’re free to either tie up any loose ends in town, or help out with other departments. 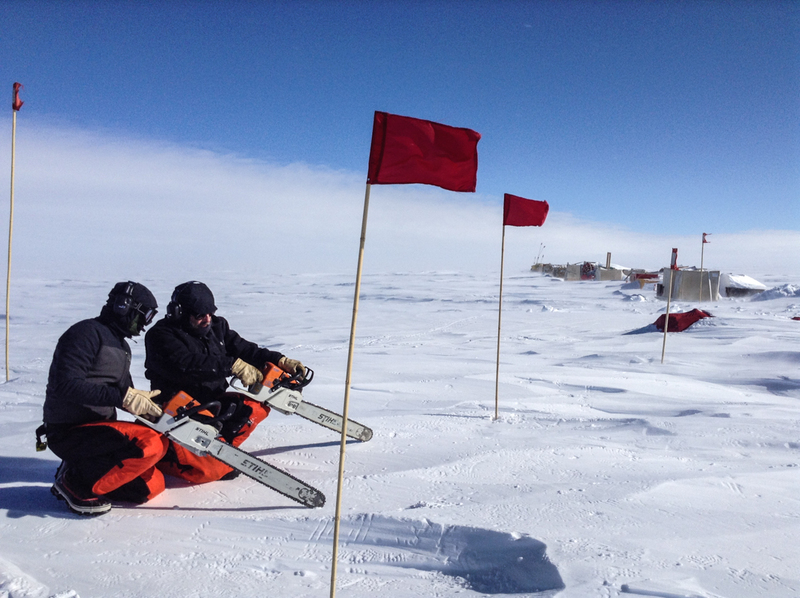 I’ve been working with Waste in preparation for winter and with the South Pole Traverse team. 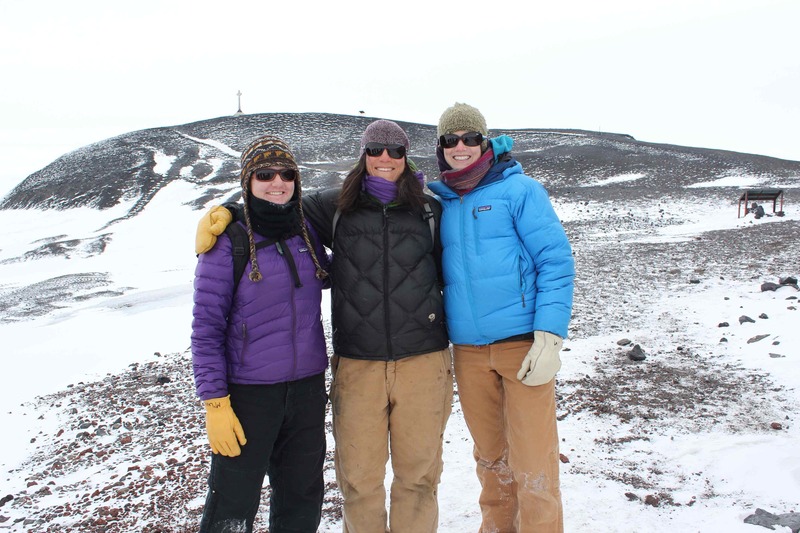 We won’t have internet or email once we get into the field, so I thought I’d write a bit about “Byrd Surface Camp,” what I’ll be doing this summer, field camps and research projects in West Antarctica at large, more about the research and set-up of Byrd this season, and give you lots of pictures and links…I will continue this blog once I get back to a place with internet so save your questions or post them below! 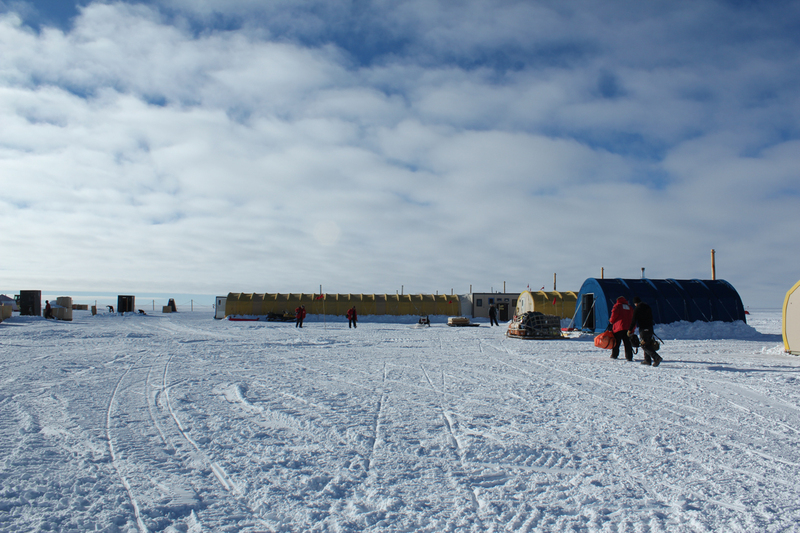 Byrd camp is one of the oldest Antarctic field camps. 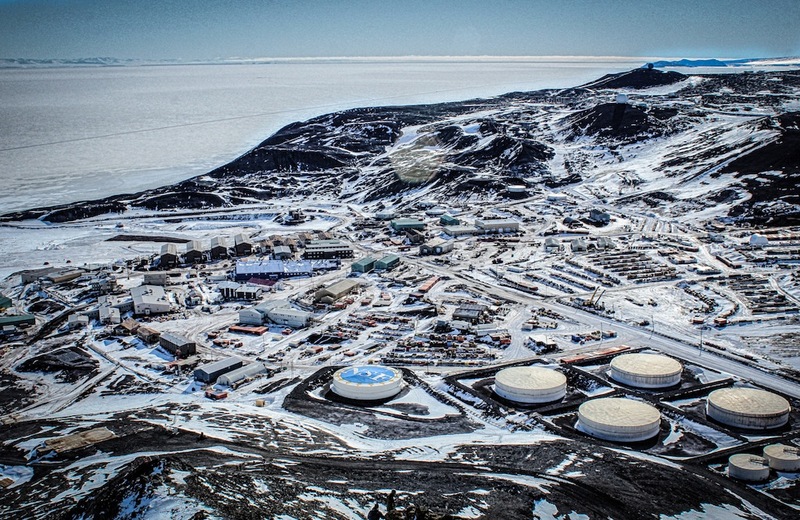 Named after Admiral Richard E. Byrd and set in the heart of Marie Byrd Land of West Antarctica, it was first established by the U.S. Navy in the summer of 1956-57 as a year-round underground station. 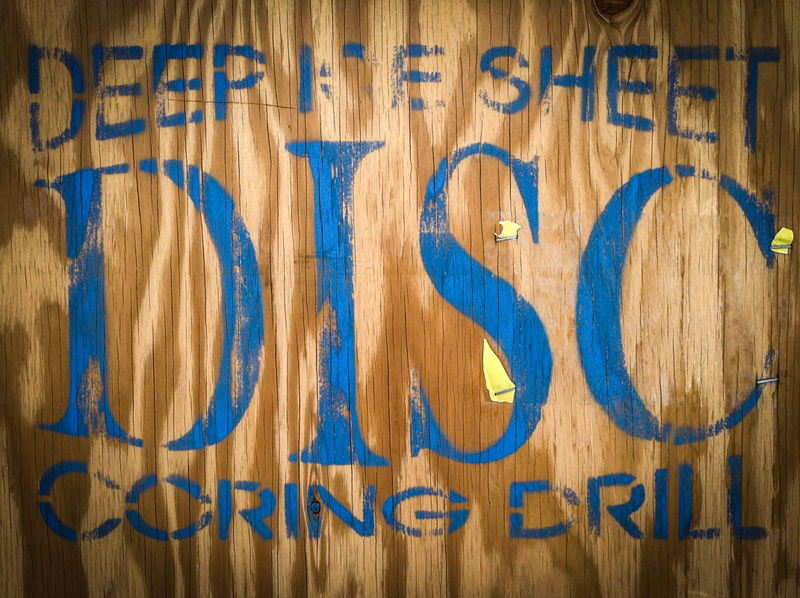 In 1972 it was changed to a summer-only field camp, but aside from a gap between 2005-09 it has been in near continuous use. 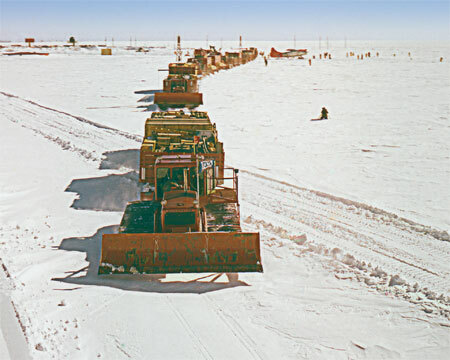 The photo below shows the tractor traverse on December 4, 1956 heading out to establish the first Byrd Station. 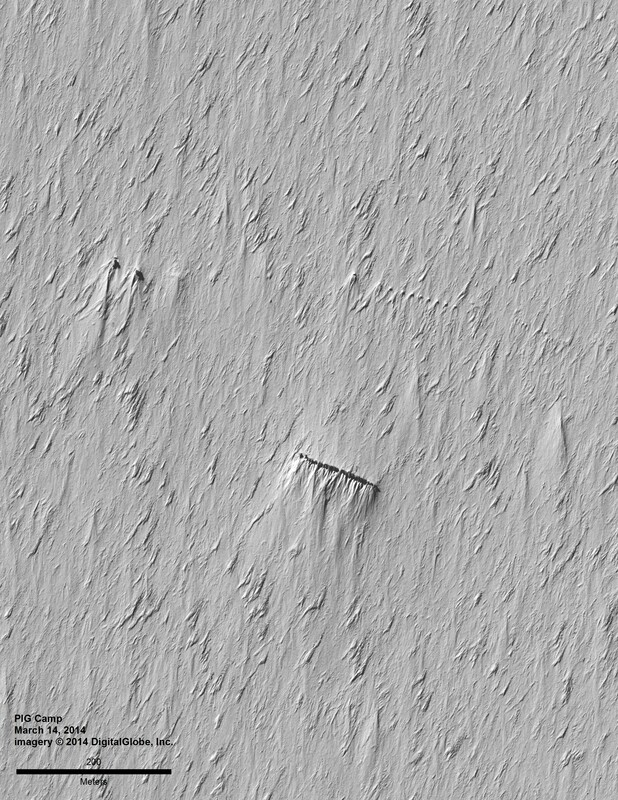 An October 14, 2012 satellite image of the Byrd winter berm shows heavy drifting. At the end of the summer everything is closed up and placed on the berm. 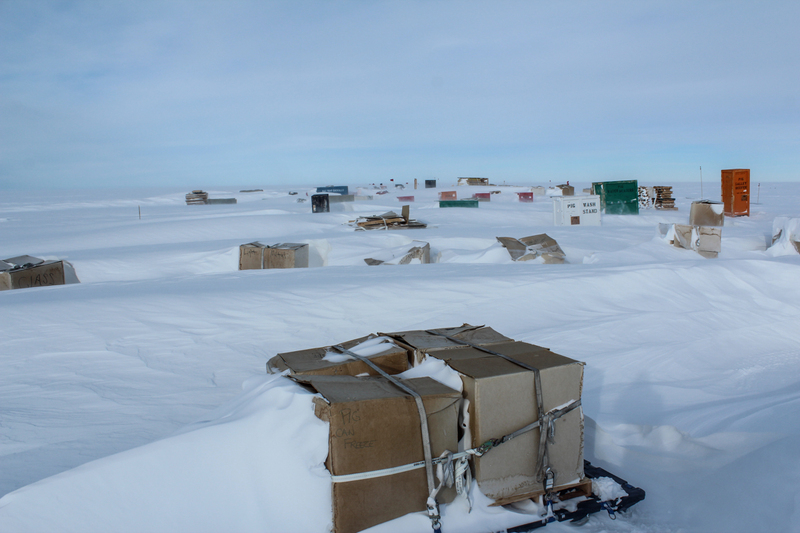 The square “Galley Module”, heavy equipment, boxes of extra food, drums of fuel, two snowmobiles, the tents we will sleep in are all there. 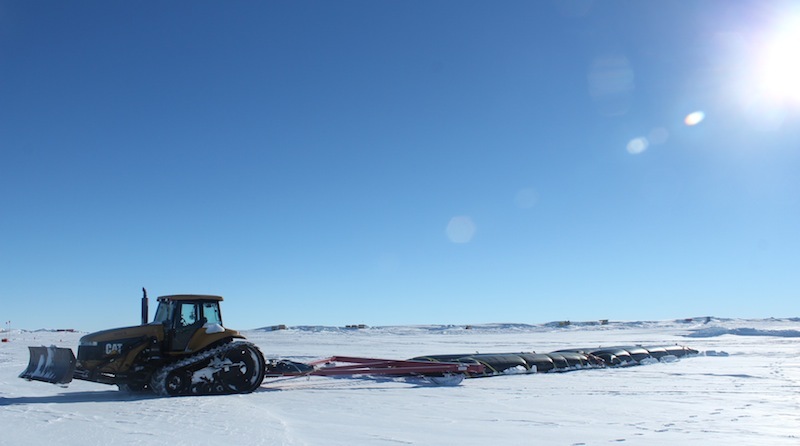 On the lower left there are 4 squares in a line a little ways from the berm – these are the fuel pits, four 10,000 gallon bladders of fuel. 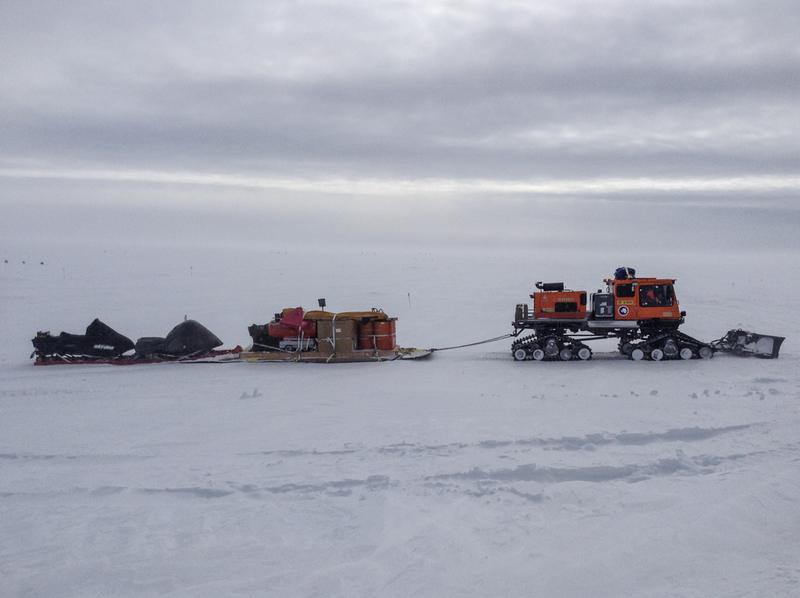 The large item near the middle and just to the left of the berm is the sled used to load and unload the largest and most awkward cargo. There’s no denying that there is a lot of digging ahead of all of us, but it’s promising that some individual structures are still visible and are even casting shadows! The Byrd winter berm on which everything is stored. 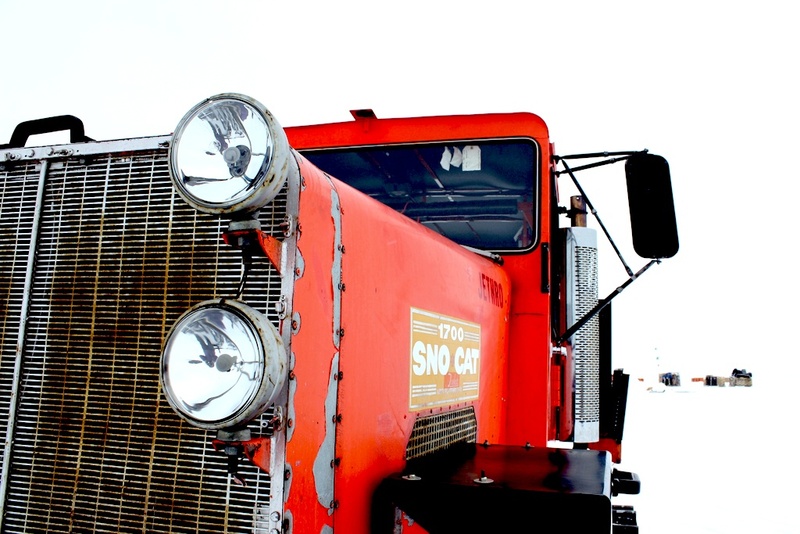 This season I will be working as the heavy equipment operator, one of three women staffing the camp. 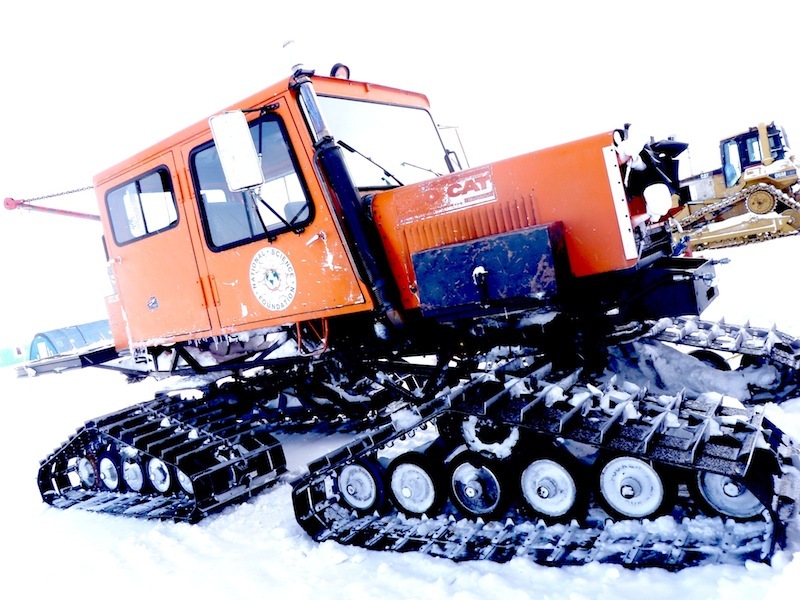 My primary job will be using the 2010 Tucker Sno-cat to groom the skiway and camp, though we will also have a CAT 931 tracked loader to move snow and cargo. 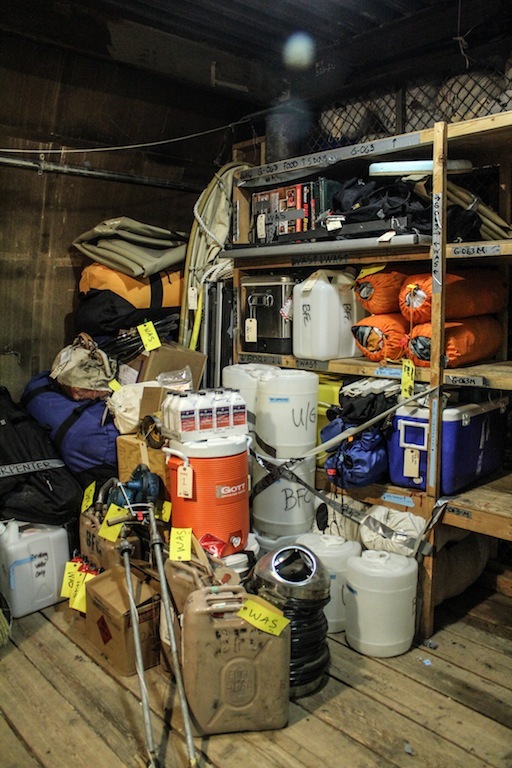 We won’t have too much cargo going through camp, but every flight will likely be bringing fuel and with such a small camp staff we will all be busy. 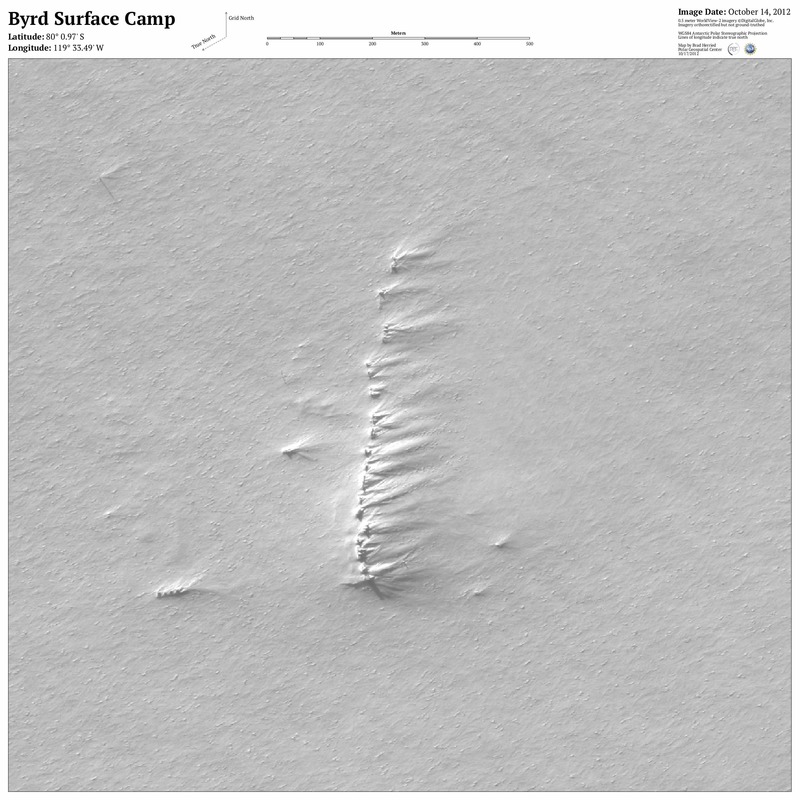 Over the years, Byrd’s population has fluctuated between 3 and 50. The projects and goals have also changed dramatically. 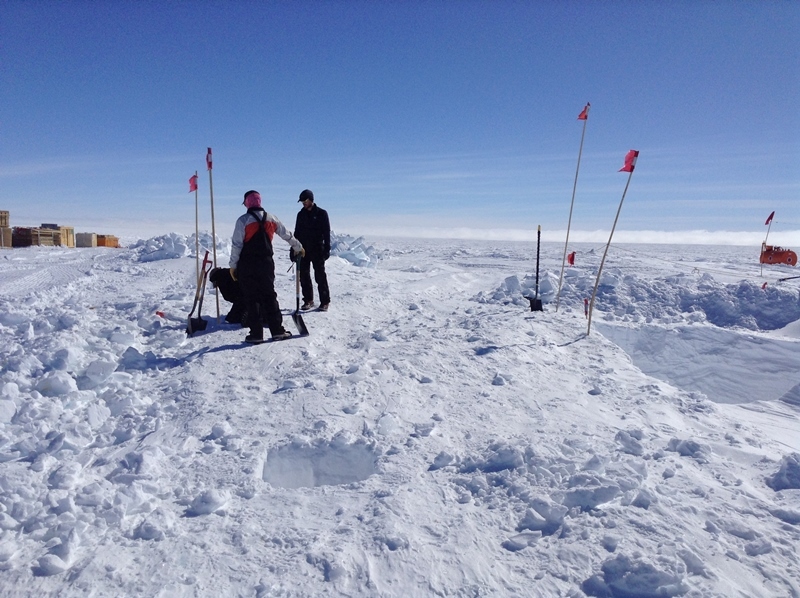 Our primary purpose this season is to support the Pine Island Glacier (aka P.I.G.) 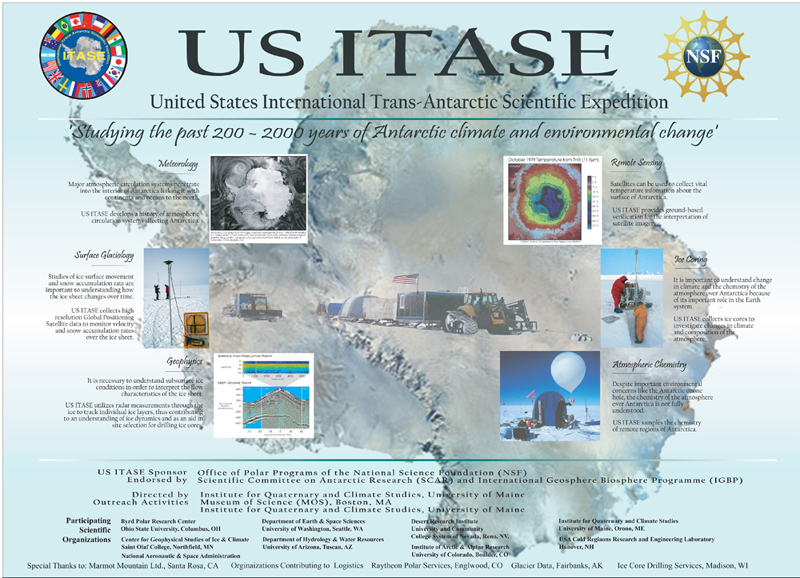 Traverse, a “mini traverse” to WAIS, and the aerial survey project GIMBLE in January. 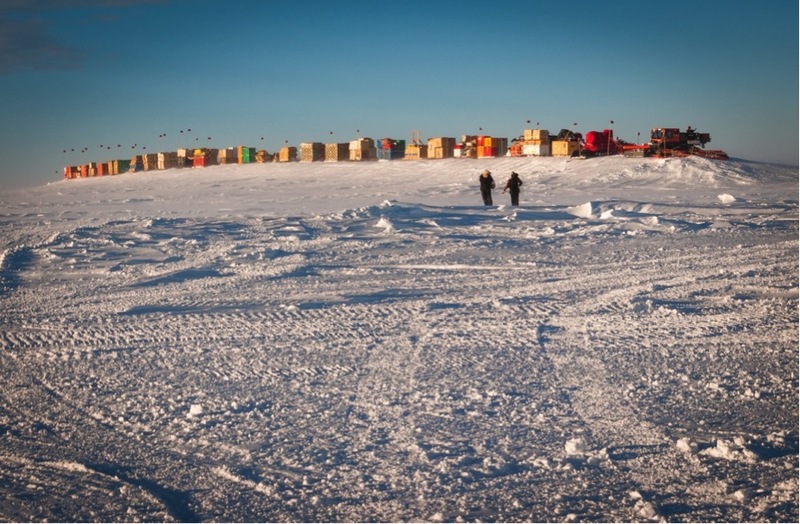 There have been a number of camps and traverses in West Antarctica since the 50’s, but today the region is of particular interest for those studying climate change. 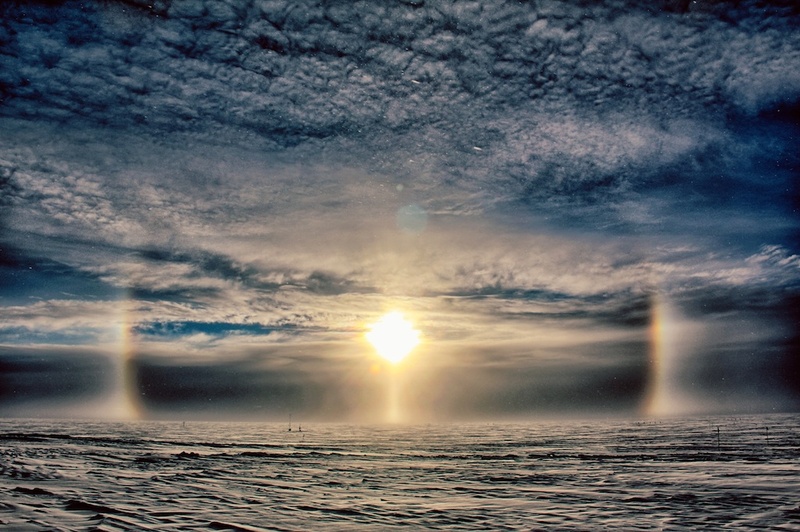 Computer models indicate West Antarctica as becoming increasingly unstable if the current warming trends continue as expected. 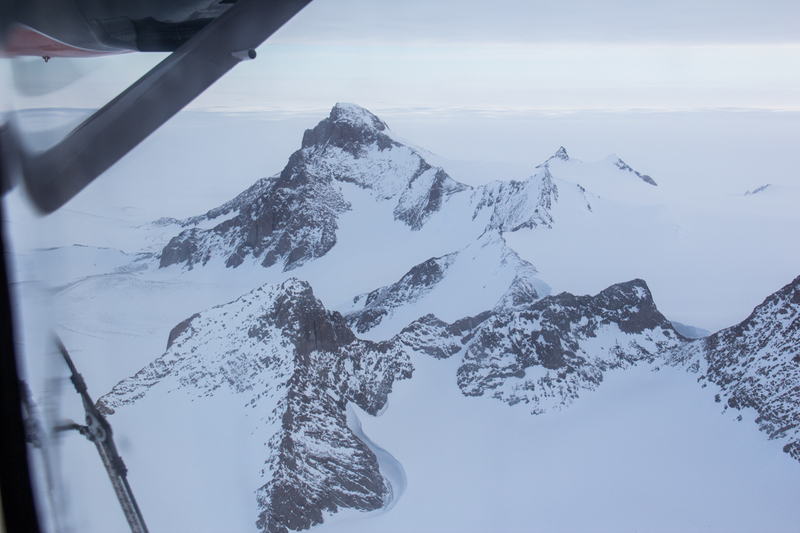 The break up of the Larson ice shelves, alarming amounts of melt, and dramatically increasing acceleration of glaciers have prompted a number of studies over the past few years. 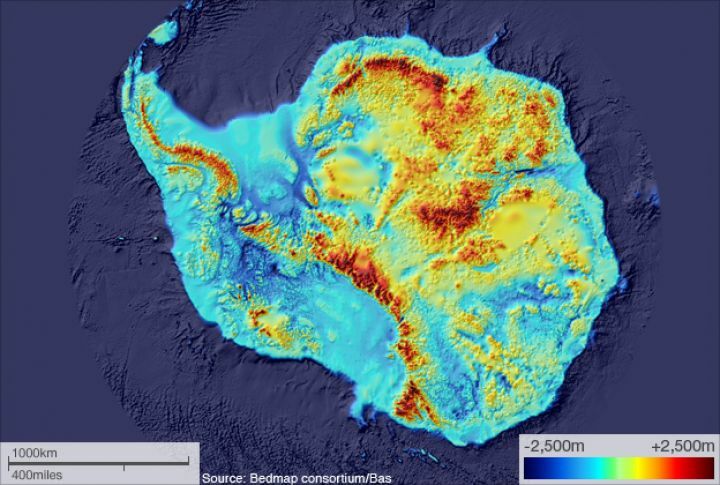 If the entire West Antarctic ice sheet were to collapse it could potentially raise sea levels by 6-7 meters. 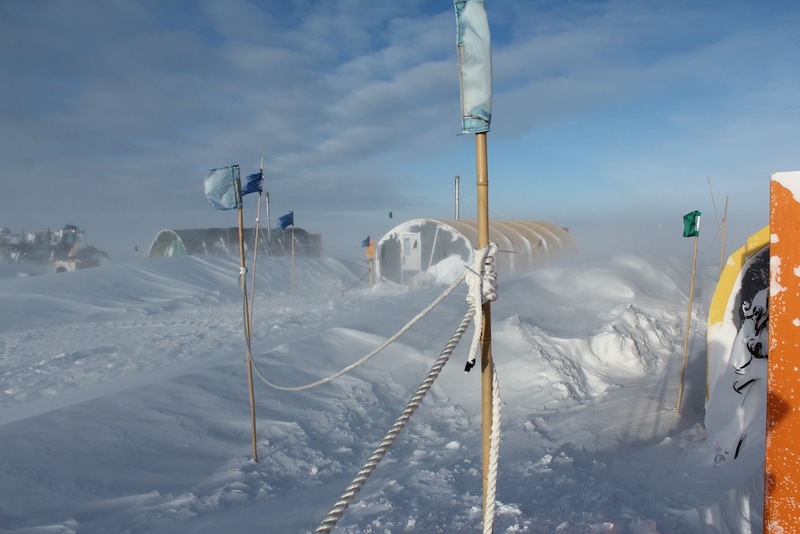 Countries around the world have been supporting various research groups to better understand the systems involved and improve climate models to predict sea level rise. 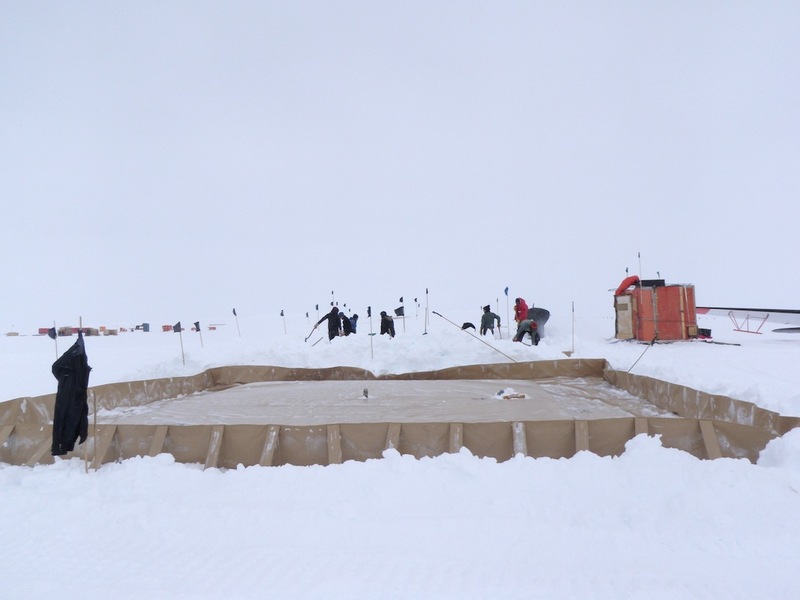 This year, USAP is supporting five main “deep field” camps in West Antarctica: Siple, Pine Island Glacier (PIG), West Antarctic Ice Sheet Divide (WAIS), WISSARD, and Byrd. 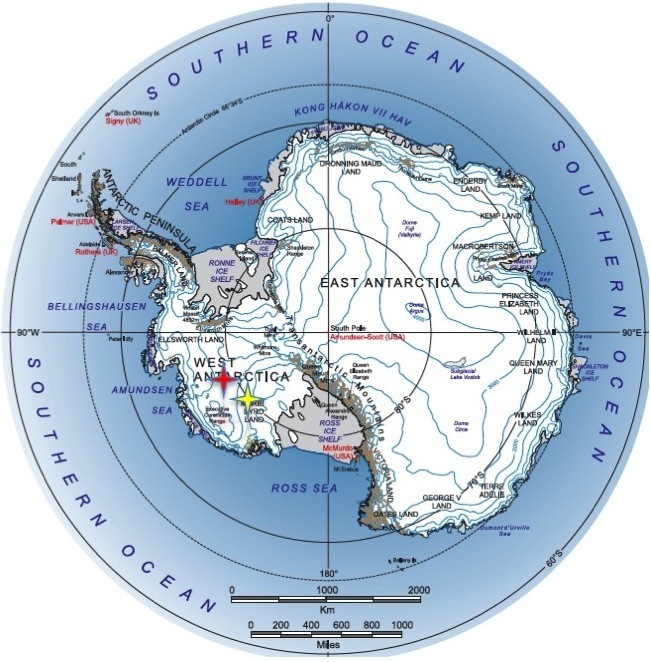 Map of West Antarctic Field Camps – Some of the main deep field sites are shown here, along with the PIG and South Pole traverses. 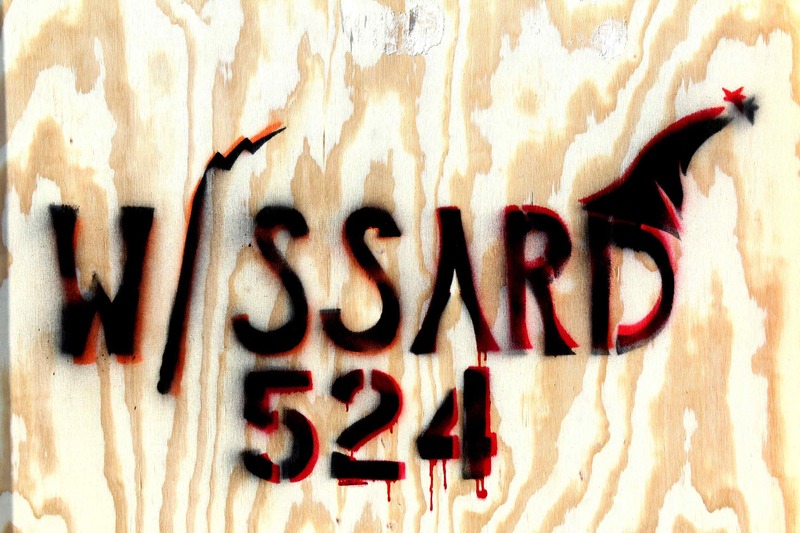 WISSARD is not shown, but sits just above the H point. Siple, or Siple Dome, is the smallest of the five with only 2 people. 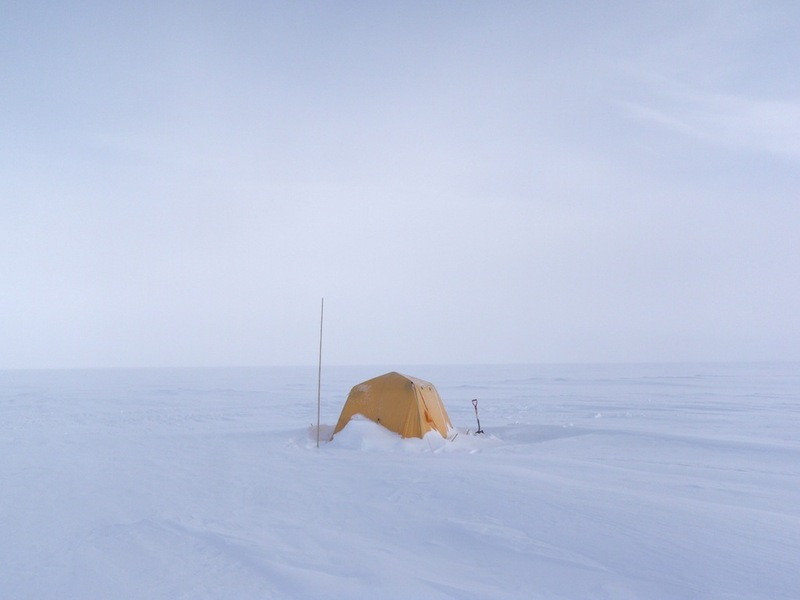 It has a long and interesting history and was a site of an ice core in the late 90’s, but today only a few small tent structures, a skiway, and a fuel cache is all that remains. 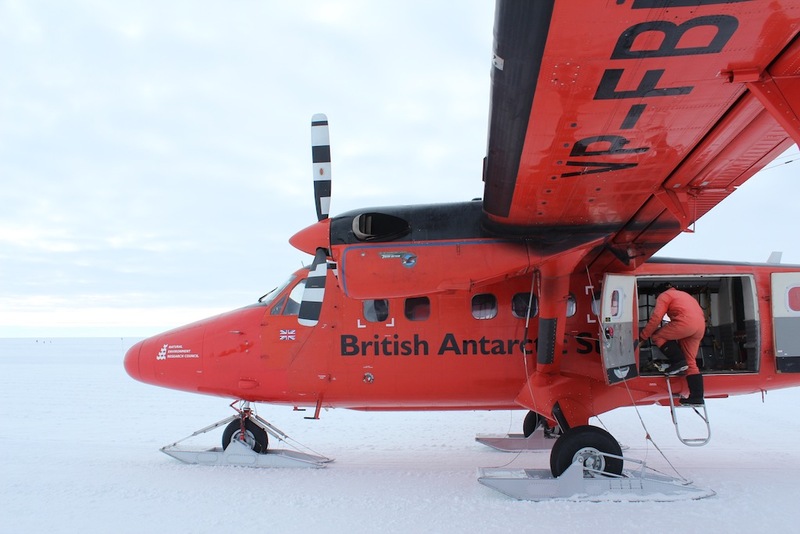 It is in essence, a glorified gas station and a backup for planes flying the capricious weather of West Antarctica. 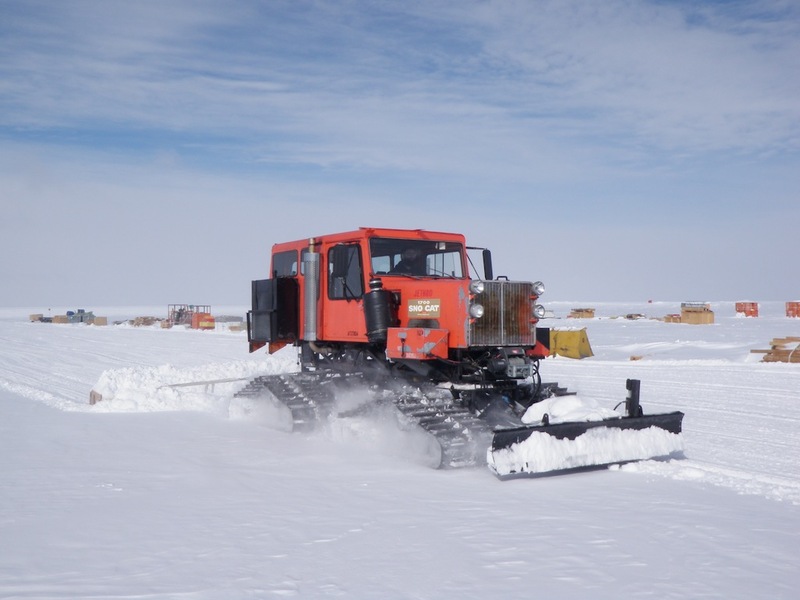 Note: there was an old station called Siple Station which was fairly expansive, but this was on the other side of West Antarctica, near the base of the Penninsula and the Ronne ice shelf. 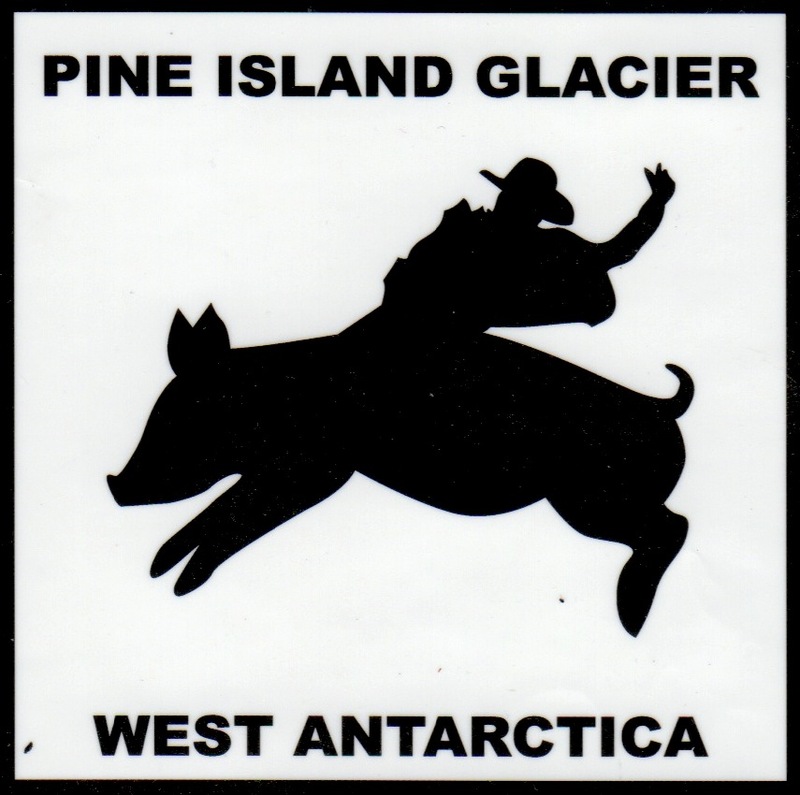 The Pine Island Glacier project is comprised of two components: PIG camp itself and the PIG Traverse. 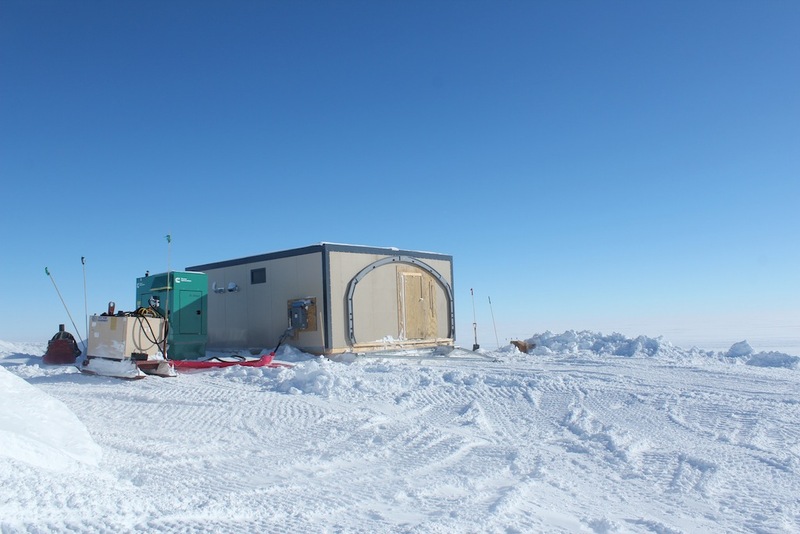 PIG camp is located 1,300 miles from McMurdo, near the coast of the Amundsen Sea. 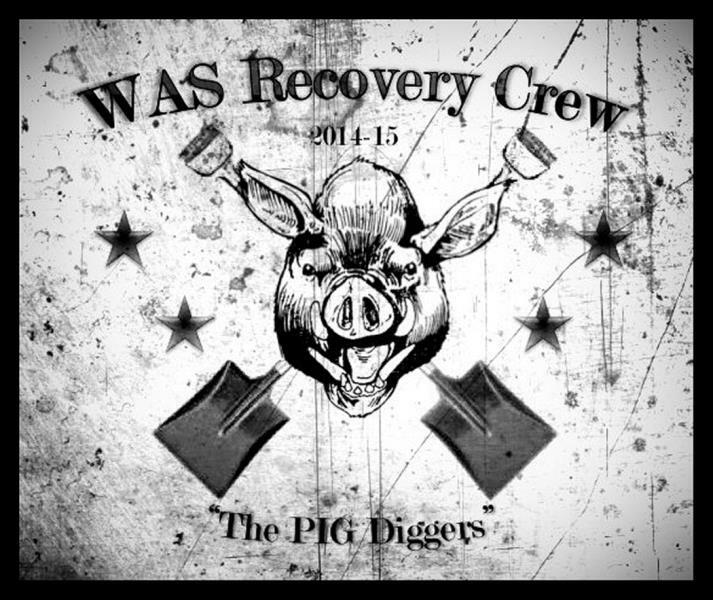 The traverse will haul fuel from Byrd to WAIS, and on to PIG. Surprisingly, this is the more cost effective option than flying it in via Herc. 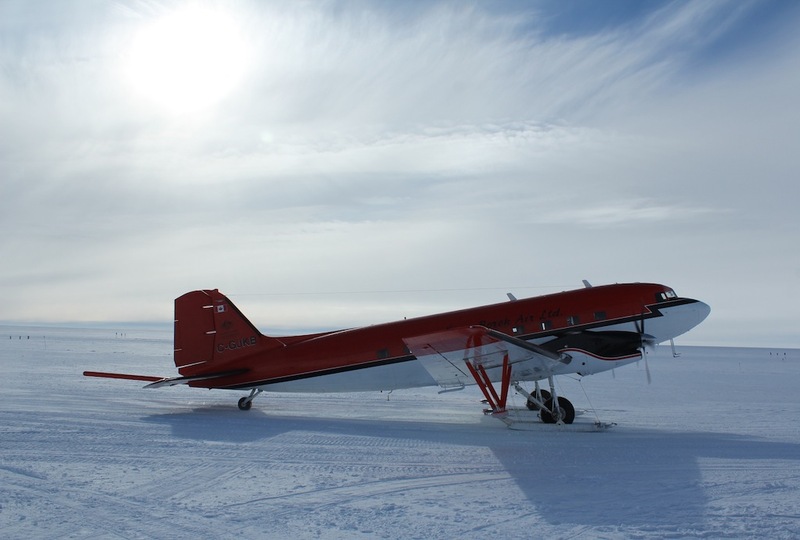 The project, lead by Robert Bindschadler of NASA, is hoping to deploy instruments below the ice to measure various parameters of the seawater under the glacier tongue and the dynamics of where the glacier transitions from bedrock to seawater. 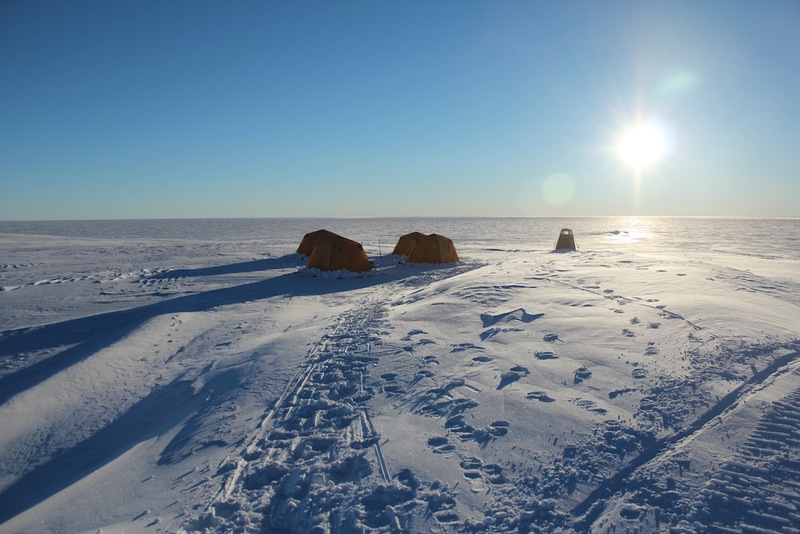 Their hypothesis is that warming ocean currents are melting the ice from beneath, increasing the velocity up the length of the glacier. 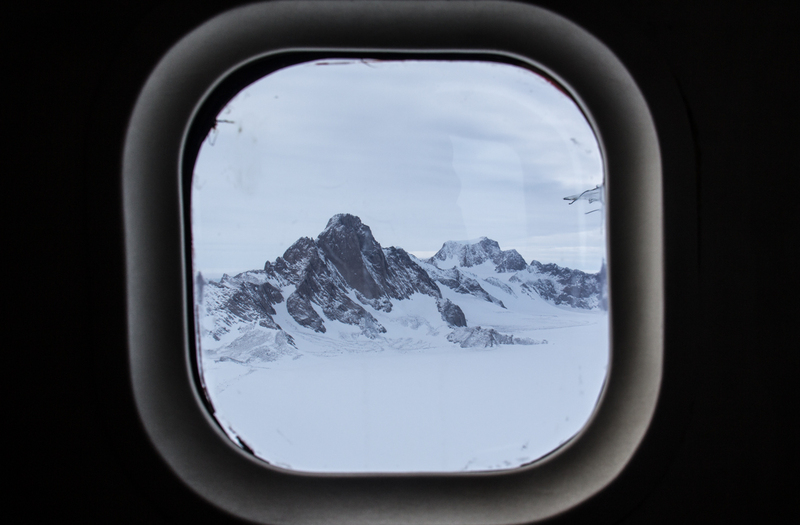 Helicopters will transport researchers and equipment to various points along the glacier to drill and deploy instruments. 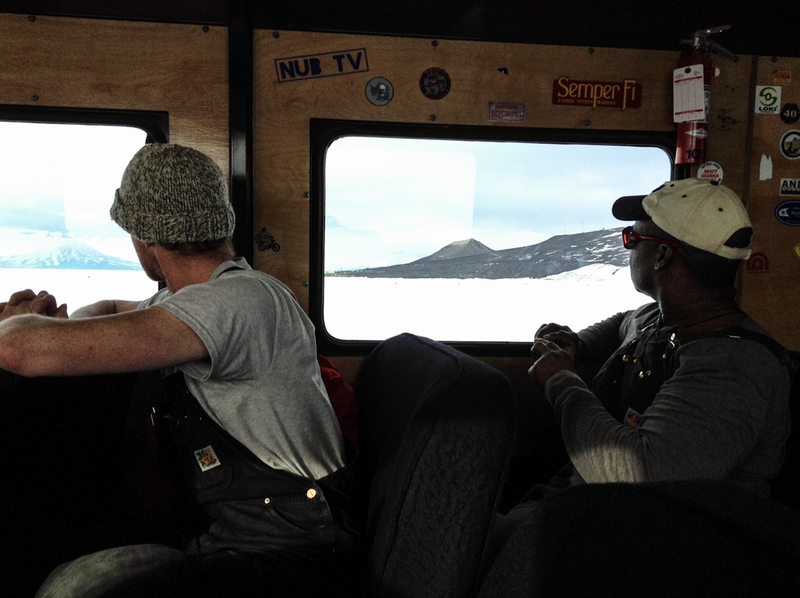 Recently, they’ve discovered a major rift in the glacier. 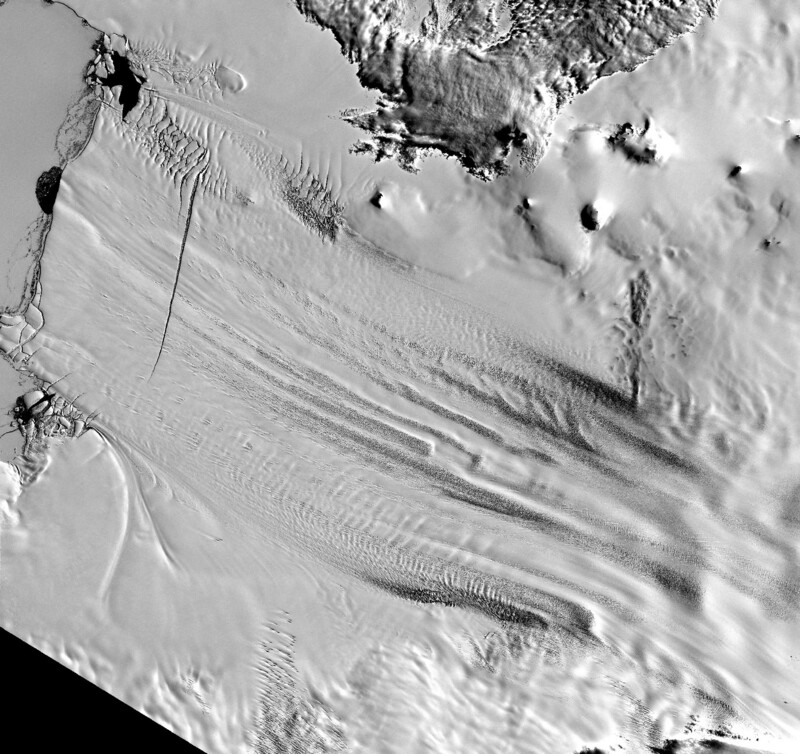 “What makes this one remarkable is that it will lead to calving of a significantly larger iceberg than PIG has produced in the last few decades,” says Joseph MacGregor, a research scientist at the University of Texas at Austin. 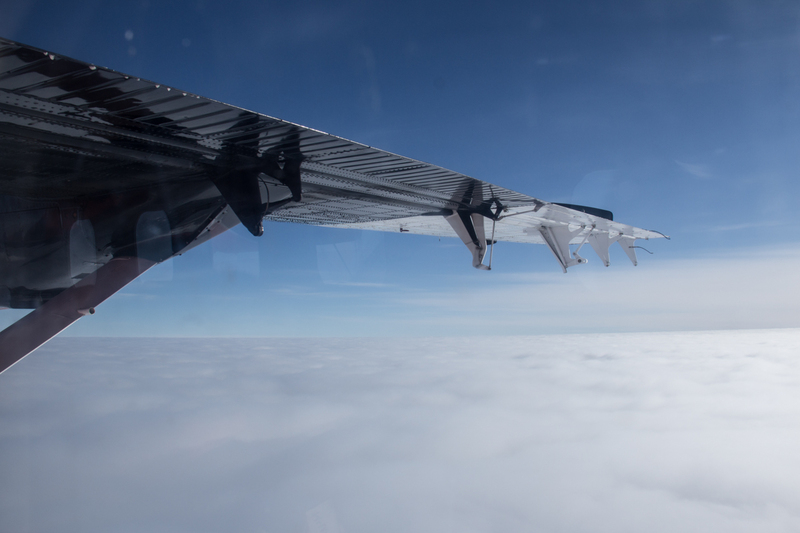 “It is likely that the front of PIG will be farther back than any time in the recent past after the iceberg calves.” The satellite images can be found here. 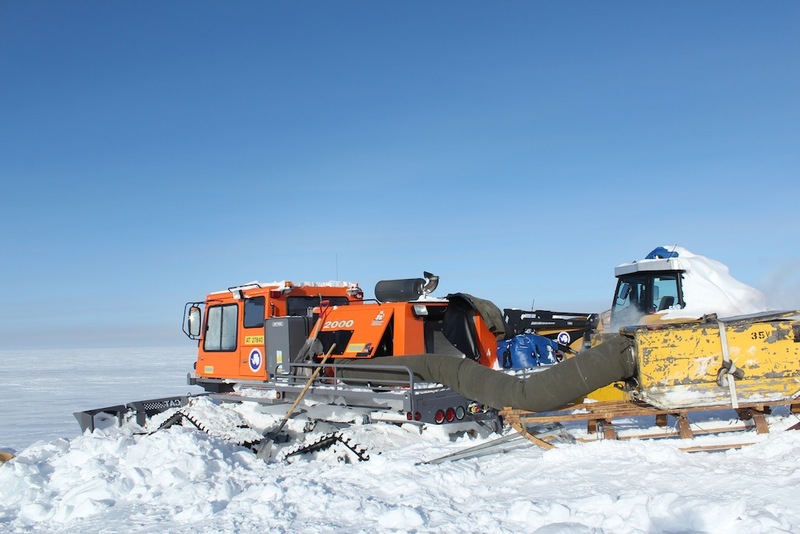 WISSARD, or Whillans Ice Stream Subglacial Access Research Drilling, (http://www.wissard.org) is a fascinating new project. 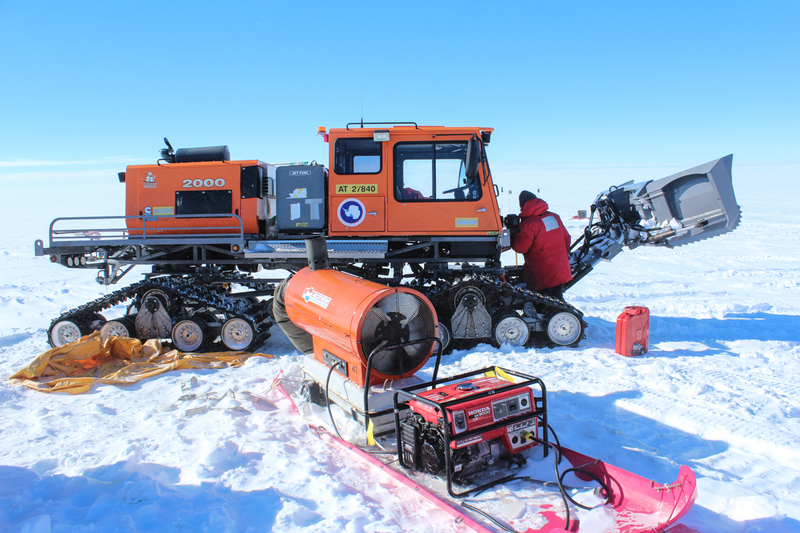 Over the past two summers they have conducted surveys using ground-penetrating radar and have found a subglacial lake of interest. 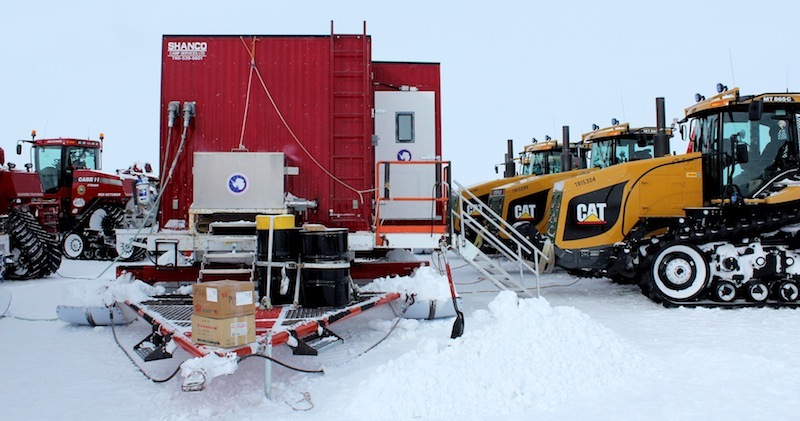 This year they will begin drilling – hoping to deploy a suite of instruments into the borehole and isolated lake beneath. 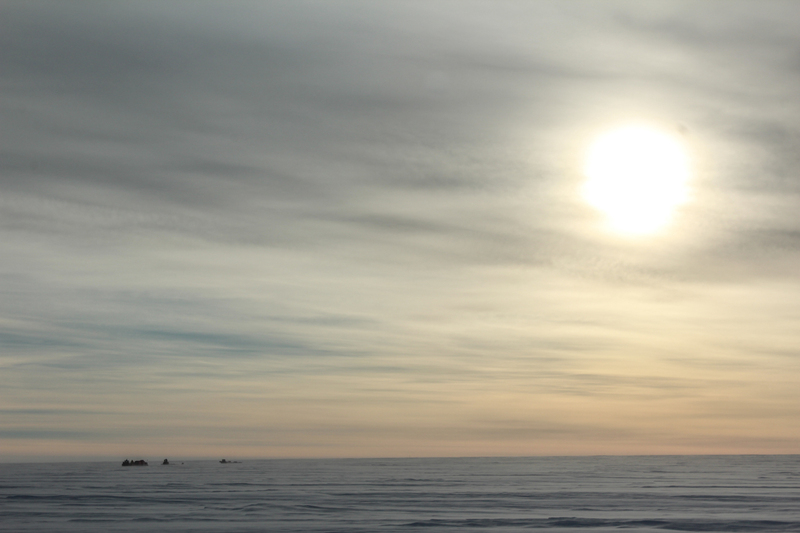 Here is a short animation they put together for PR of the route from the U.S. to the Whillans ice stream. 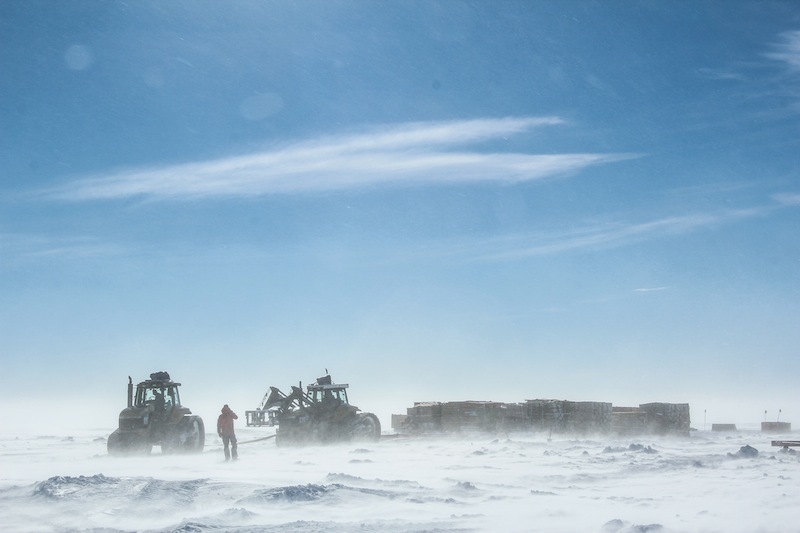 The group has also posted an interesting and informative video on YouTube (“Researchers prepare to drill through Antarctic ice”) explaining the main goals of the project and the “clean drilling” technology used. 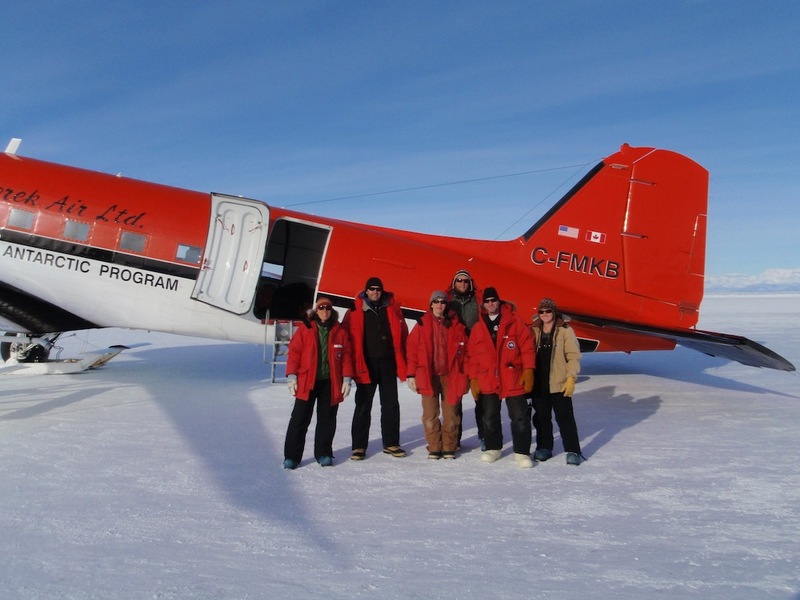 This season Byrd Camp will be supporting the science group GIMBLE/ICECAP. 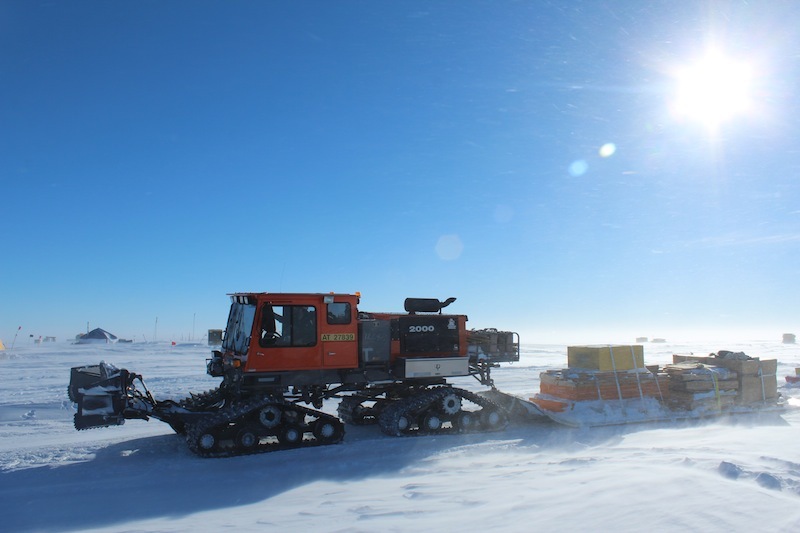 This is a collaboration between the Antarctic Climate and Ecosystems Cooperative Research Centre (ACE CRC), the Australian Antarctic Division, Laboratoire d’Etudes en Géophysique et Océanographie Spatiales (LEGOS), the universities of Edinburgh, Exeter, and Texas at Austin. 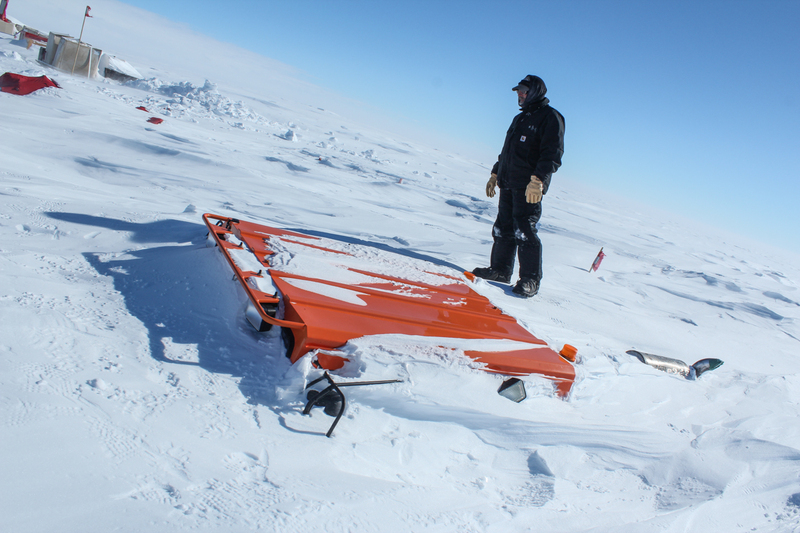 ICECAP (or “Investigating the Cryospheric Evolution of the Central Antarctic Plate”) is interested in using ground penetrating radar, geomagnetic data, and lidar to measure the top and bottom surfaces of the ice – essentially mapping the bedrock of Antarctica beneath the ice, and hoping to gain insight to the evolution of the Antarctic ice sheet. 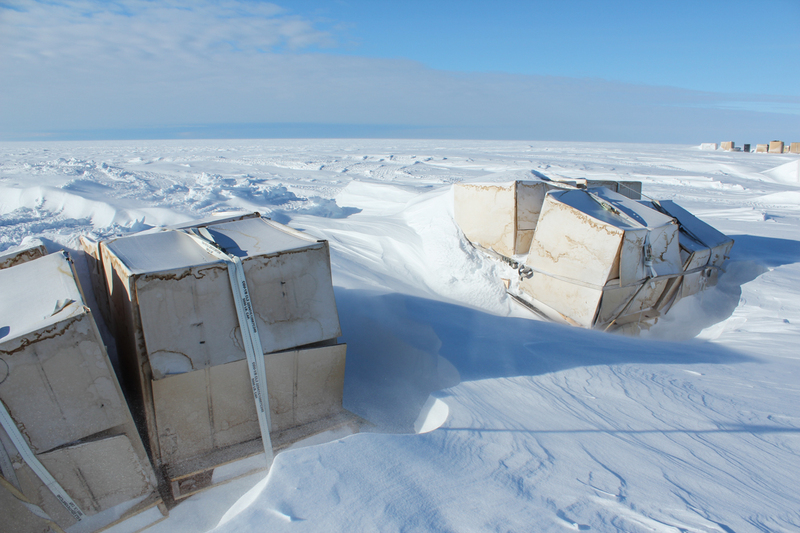 This is important for constraining ice flow and climate models, and for knowing more precisely the volume of water locked up in the polar ice caps that could potentially melt, causing sea level rise. 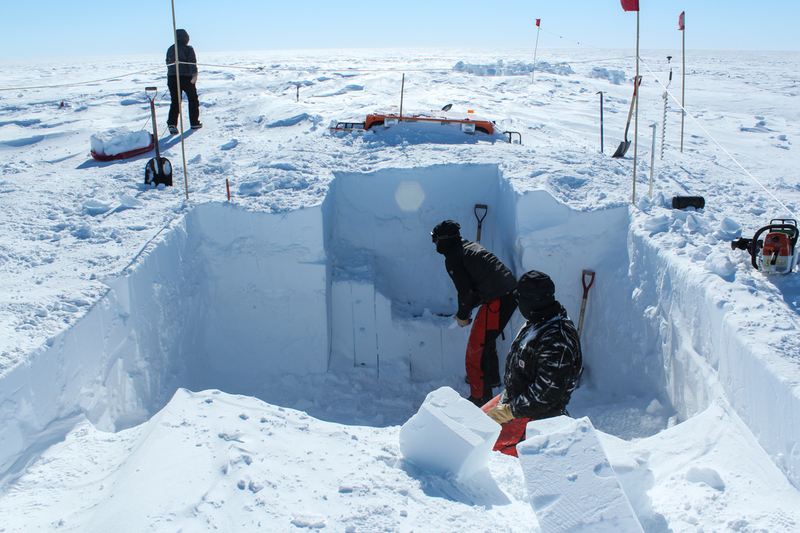 They will be doing much of the same measurements in West Antarctica, based out of Byrd. 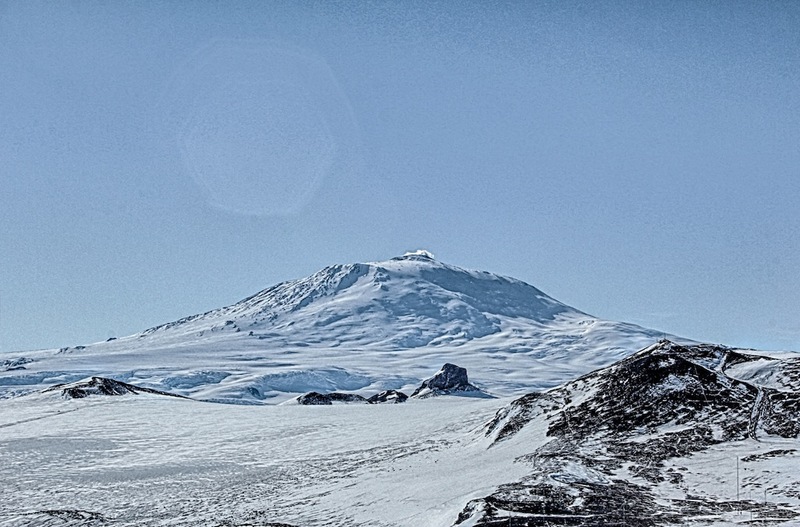 Byrd sits at an elevation of 1,553m (~5,000ft) Byrd is located 1,400km (~870mi) from McMurdo and 1,120km (~700mi) from the South Pole. 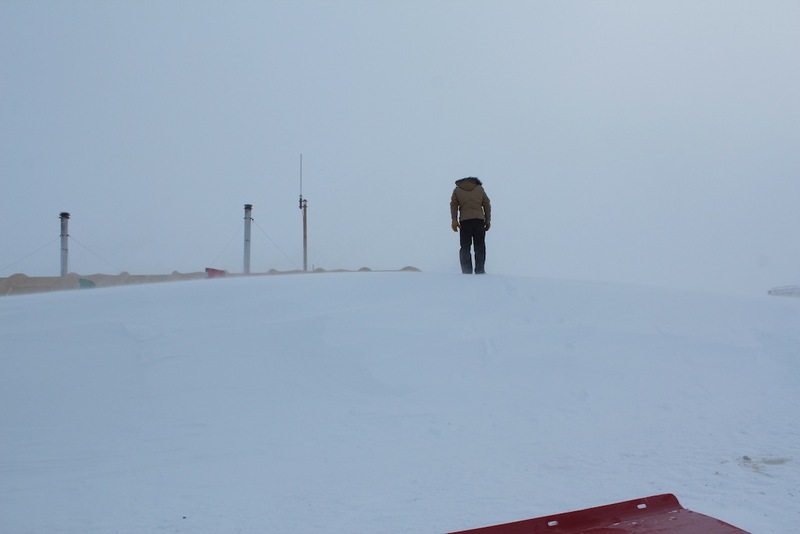 We won’t have email or internet access, but we will have two HF radios, two IRIDIUM satellite phones, and VHF radios for on-site comms. 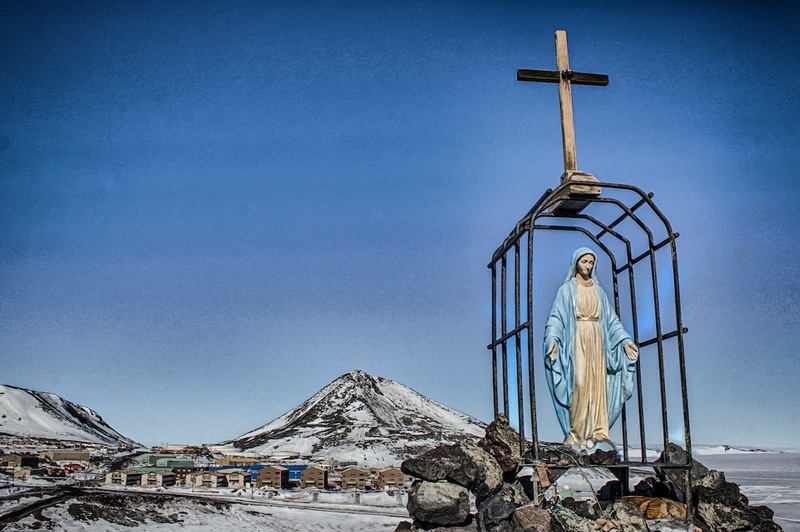 We will check in with McMurdo daily and I’ve been told the BBC still broadcasts news on HF. 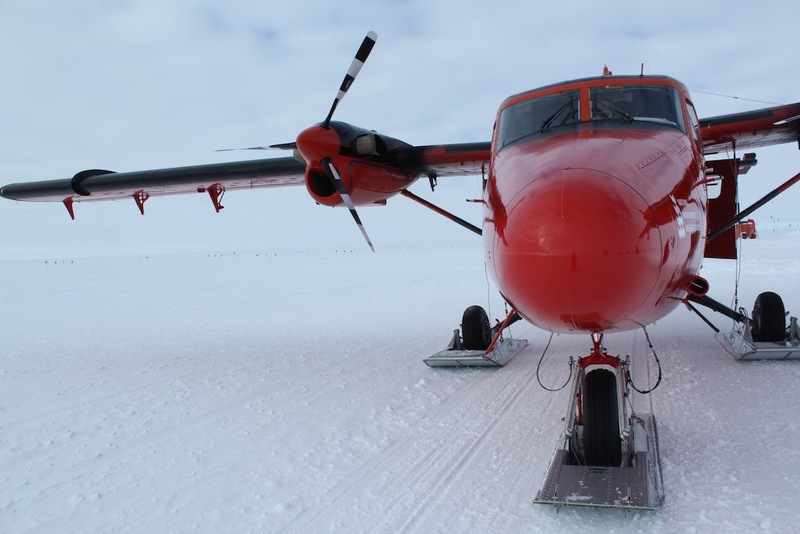 Flat mail will be delivered on the 12 or so Hercs scheduled throughout the season. While some folks might balk at the idea of leaving the grasps of modern media, I find I’m really looking forward to the break. 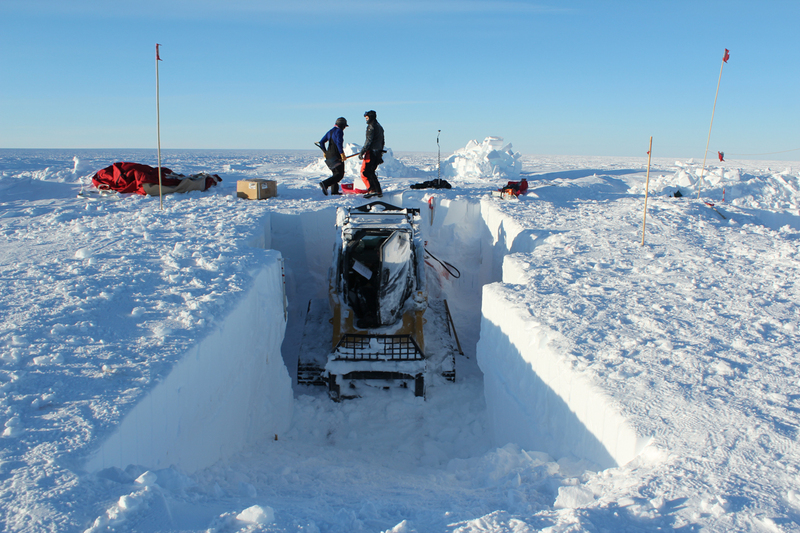 Our work will be to maintain the camp, supporting the PIG Traverse, flight ops, the research group, and fighting the never-ending battle against being buried under drifts. 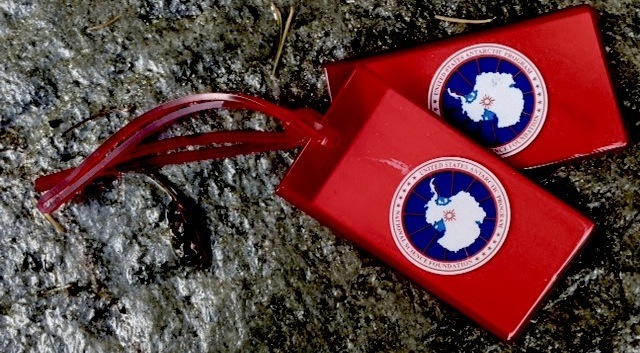 The rough outline of the season is as follows: Put-in will take place during the first week of November, in late November the PIG Traverse departs for PIG camp, leaving a heavy mechanic and a second operator behind, in early December those two will launch a “mini traverse” to haul fuel the 100mi to WAIS Divide. 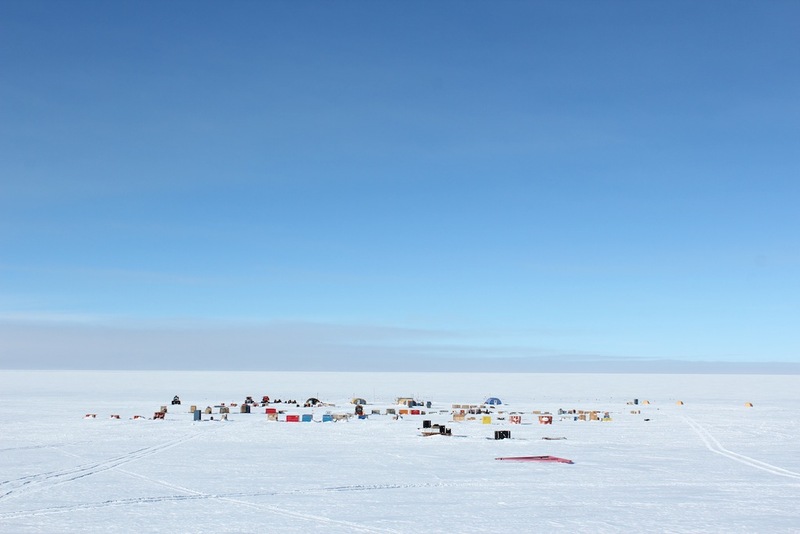 In late December a carp crew will come in to set up some more tents, and then in early January the GIMBLE group with their Basler and crew will arrive. Have a wonderful Thanks Giving, Merry Christmas, and Happy New Year! The flat white – several hundred miles from any visible rocks, Byrd is just as much on the Flat White as Pole.